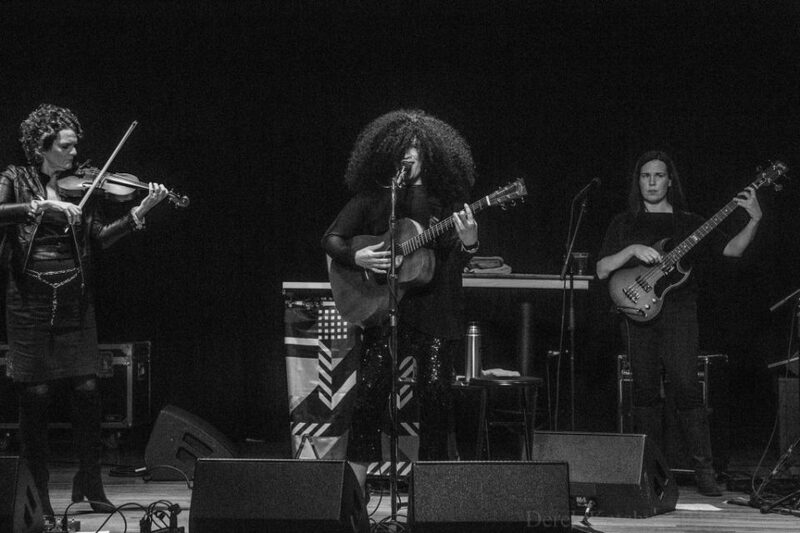 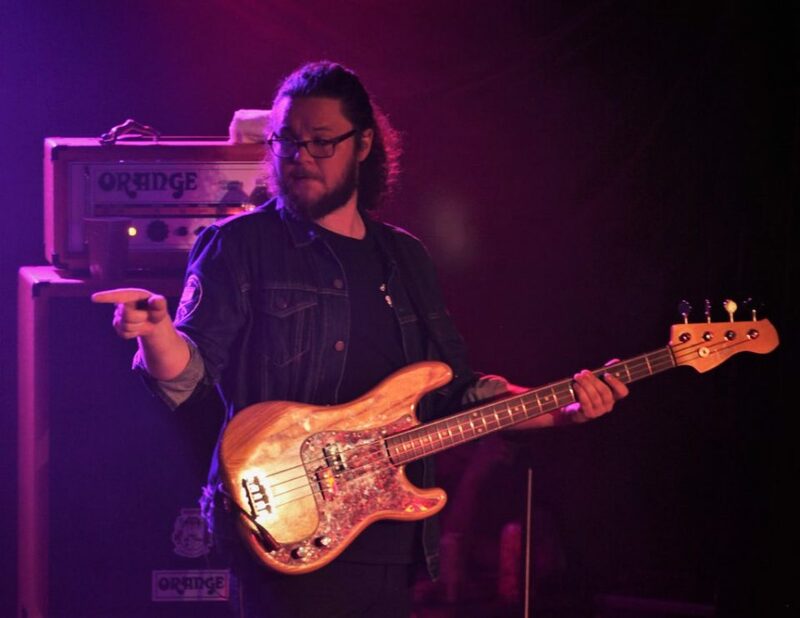 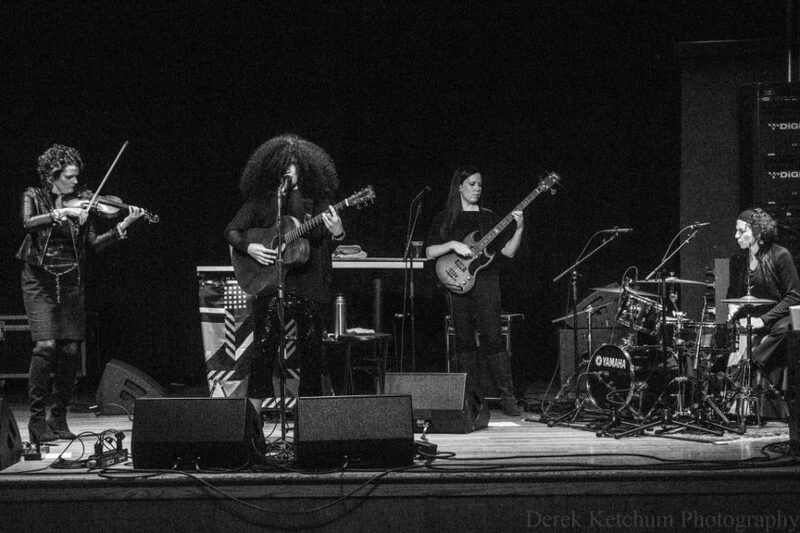 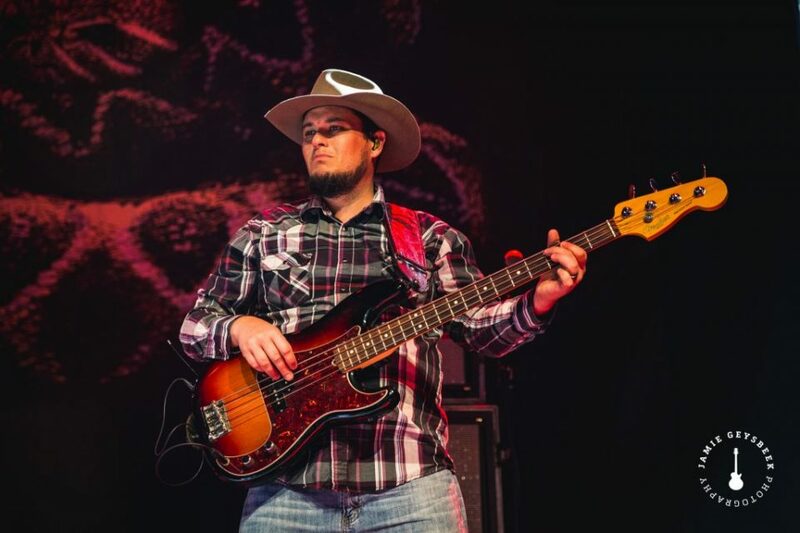 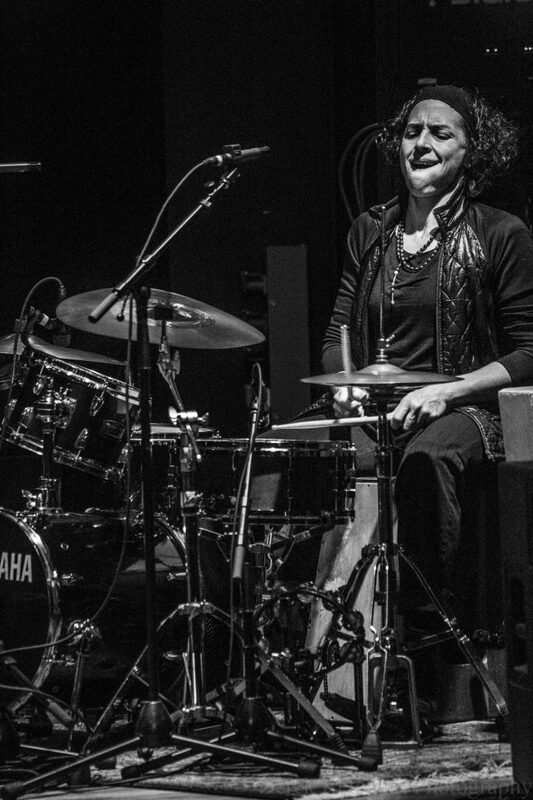 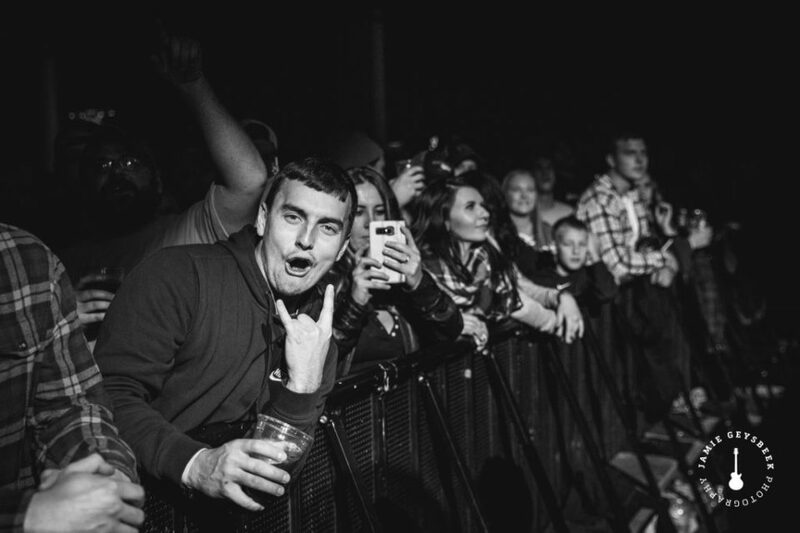 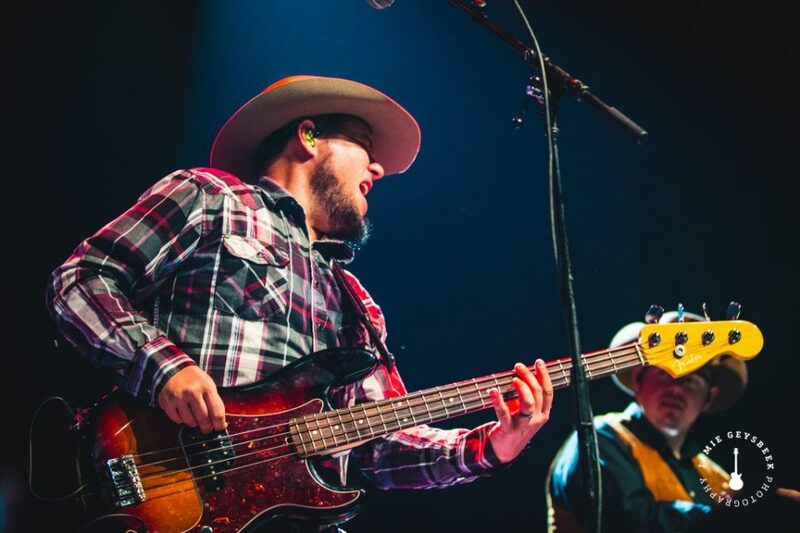 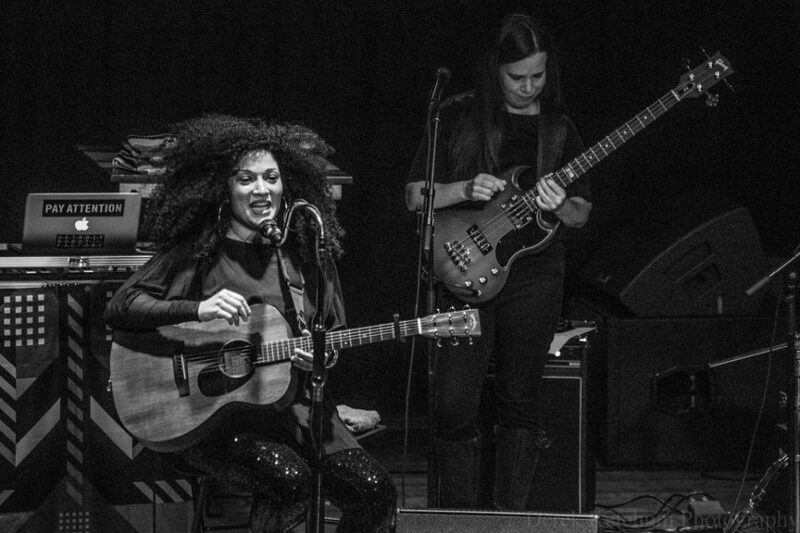 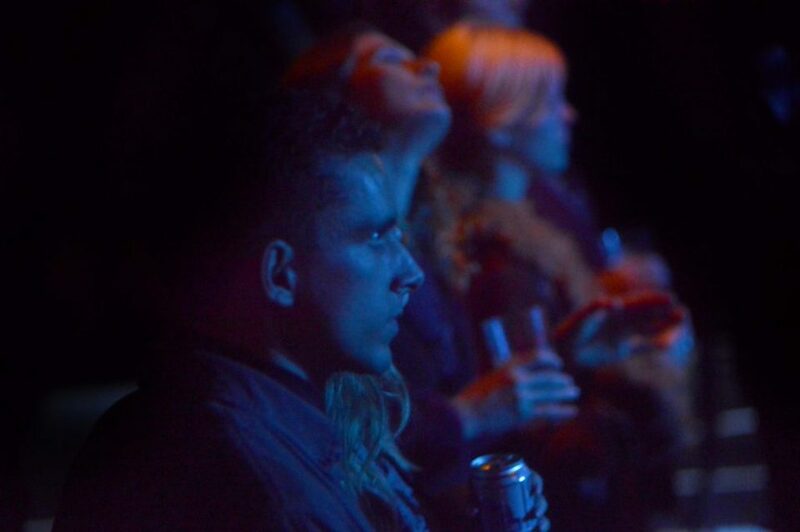 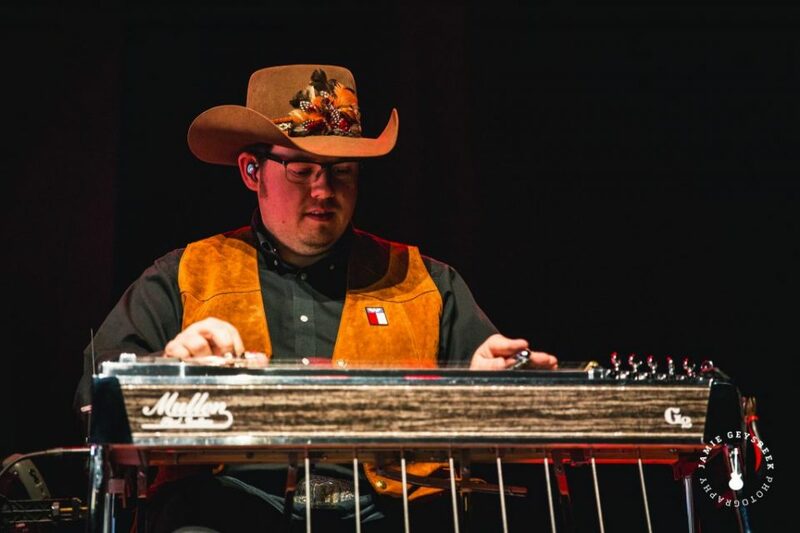 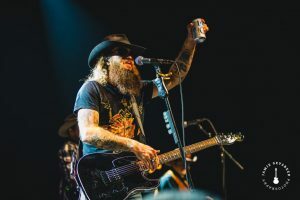 The collective’s Pyramid Scheme tour stop is part of an eclectic concert image recap that includes Cody Jinks, Marcus King, Dacia Bridges, Hill People, Weezil Malone & Horseshoes and Hand Grenades. 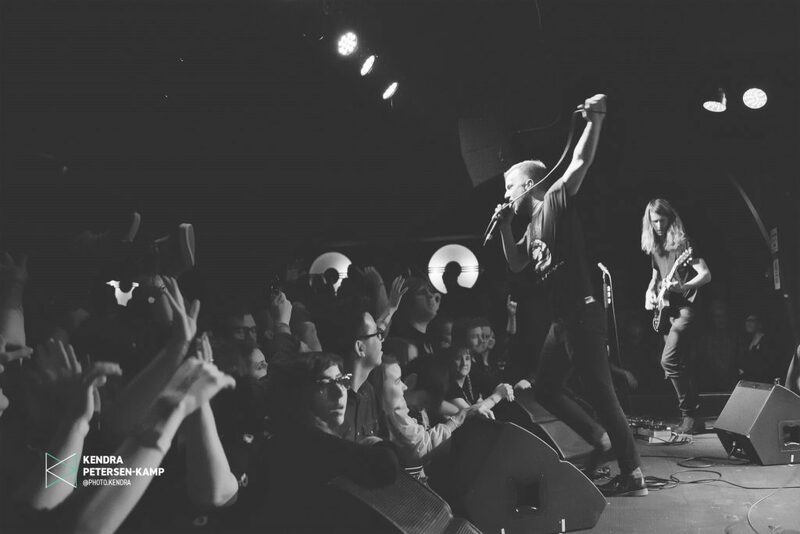 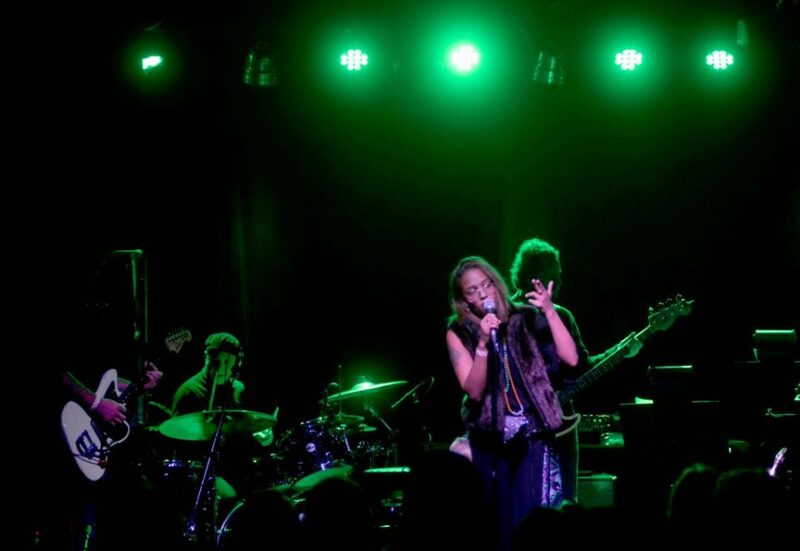 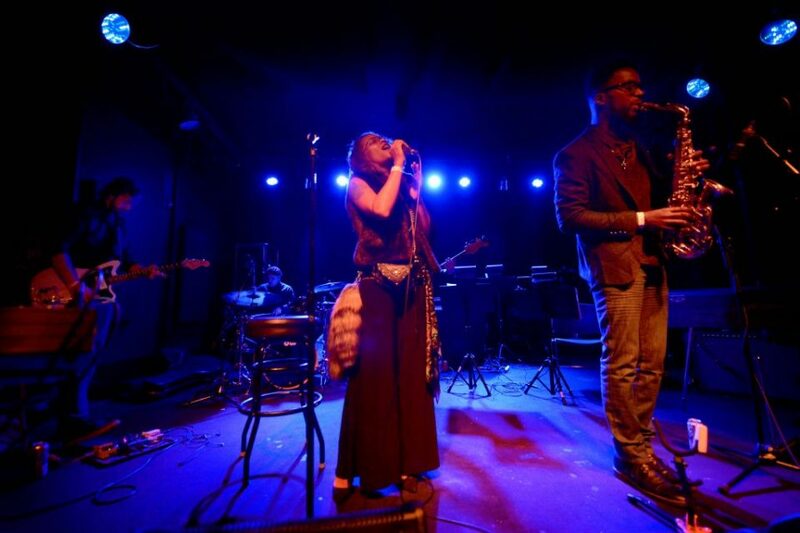 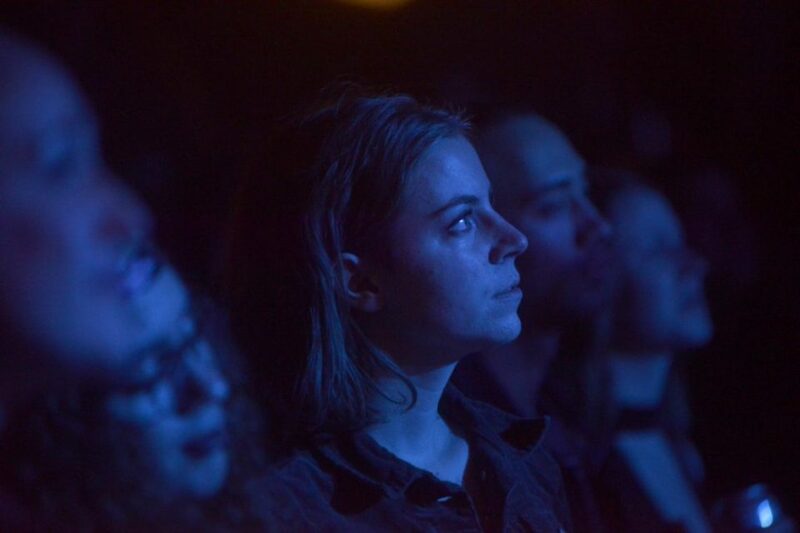 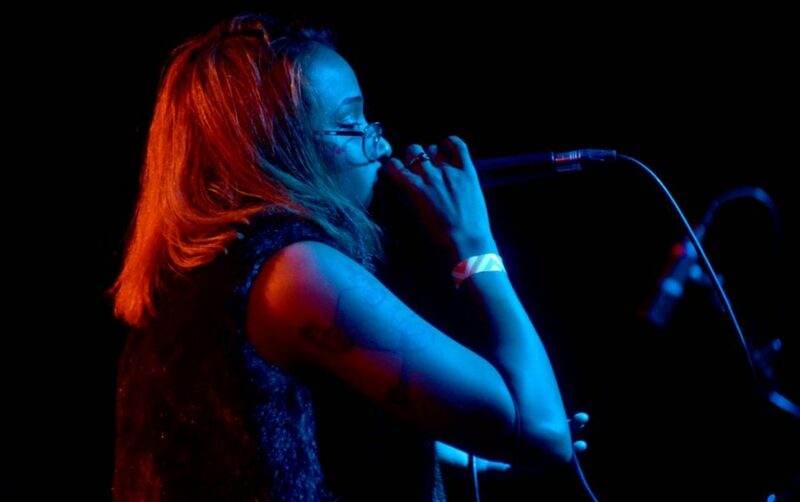 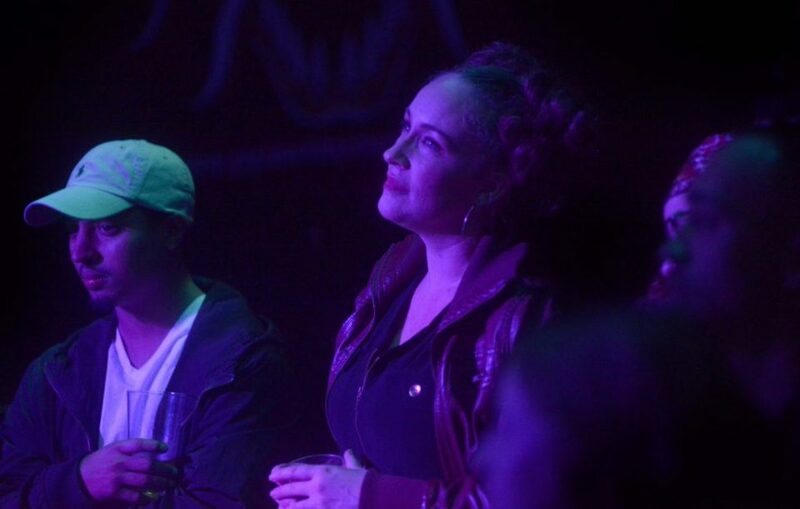 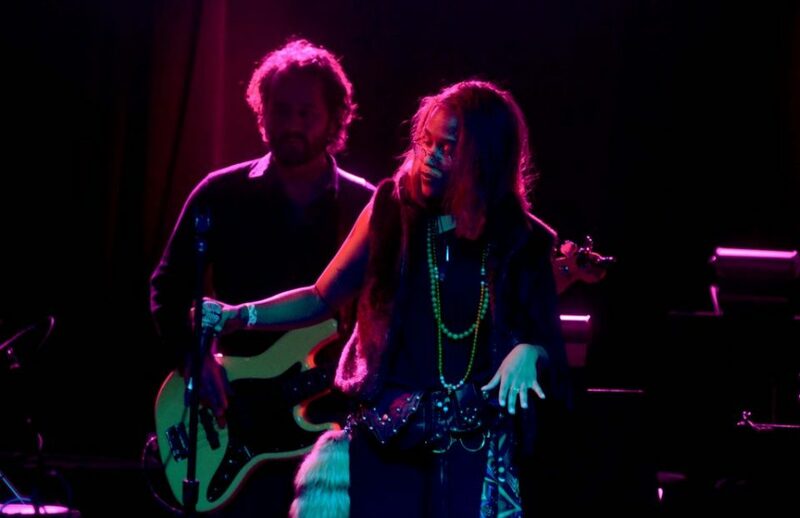 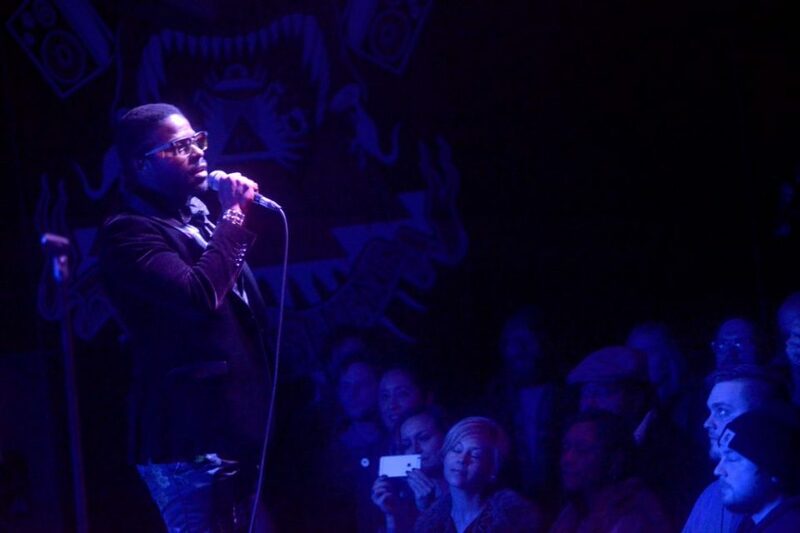 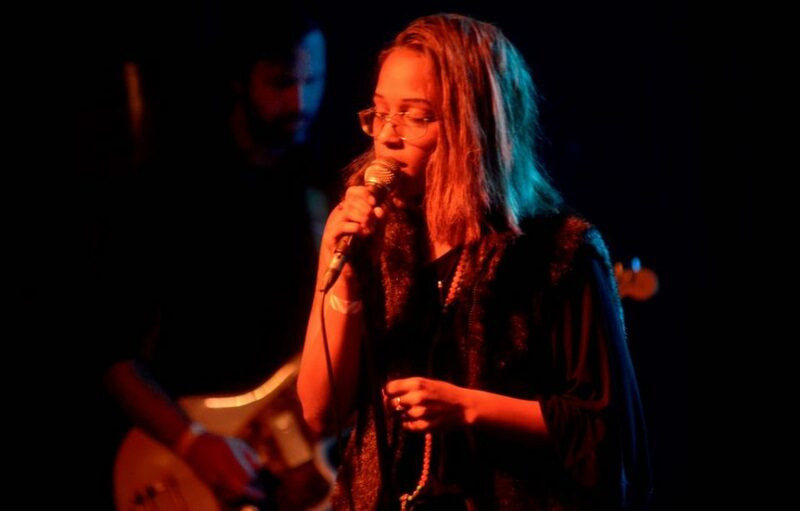 On Friday night at The Pyramid Scheme in Grand Rapids, the 2018 band version of The Midnight Hour offered up a riveting, late-night mixture of soul, R&B and hip hop. 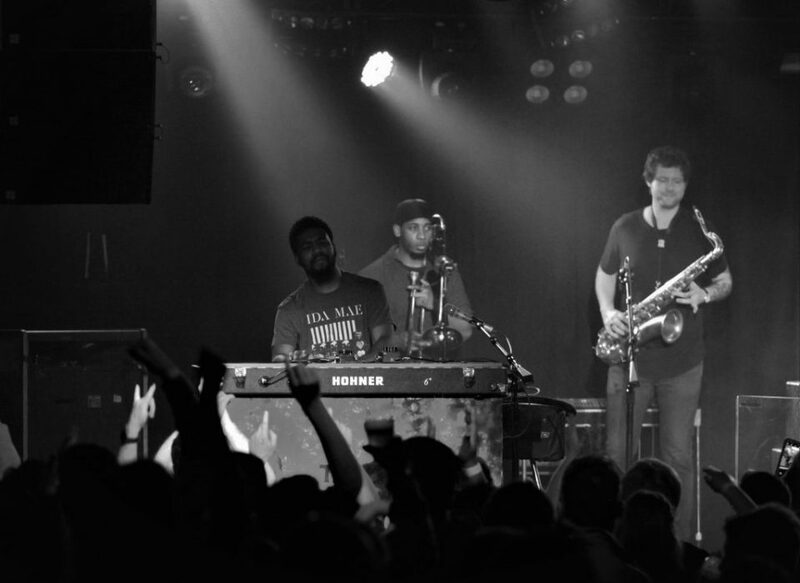 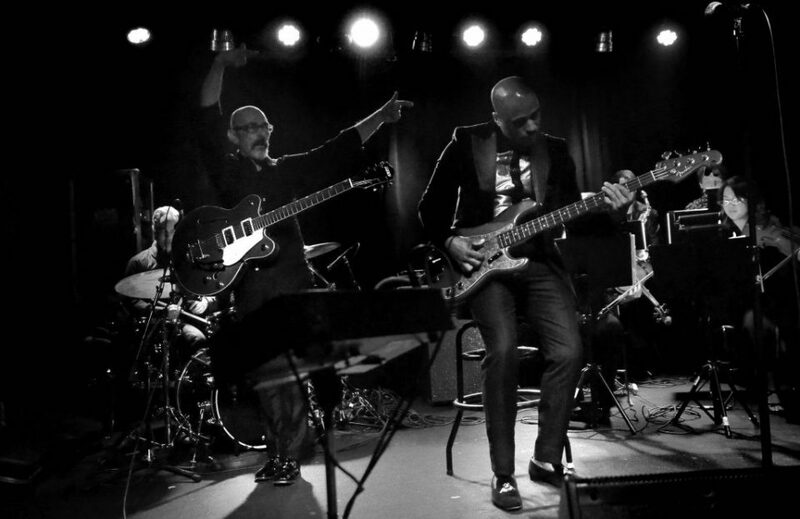 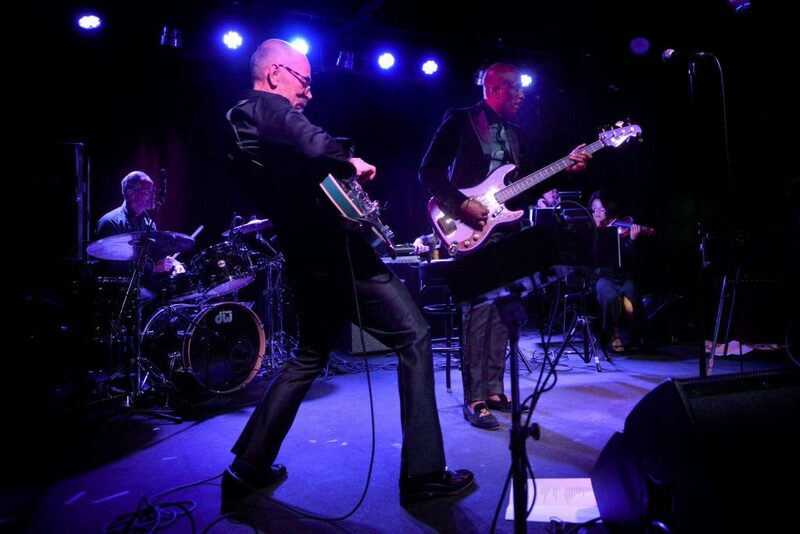 Band leaders, Ali Shaheed Muhammad (A Tribe Called Quest) and Adrian Younge led the charge on bass and keys respectively, composing, directing and performing their material while backed by a six-piece band that included drums, guitar, strings and horns. 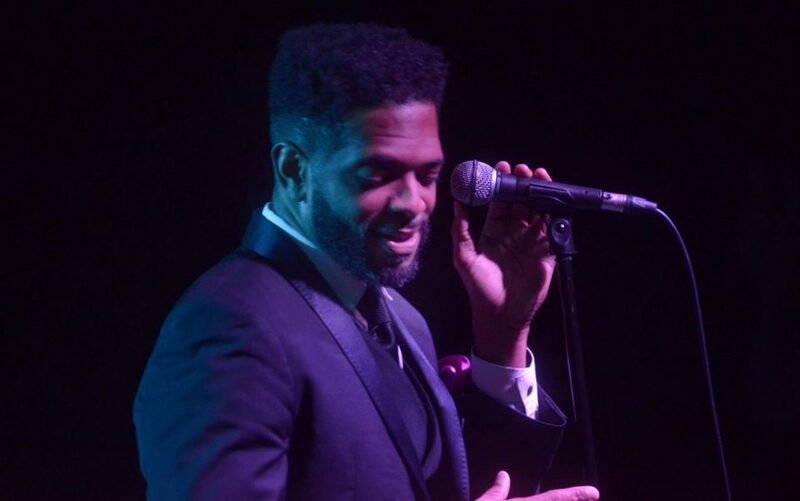 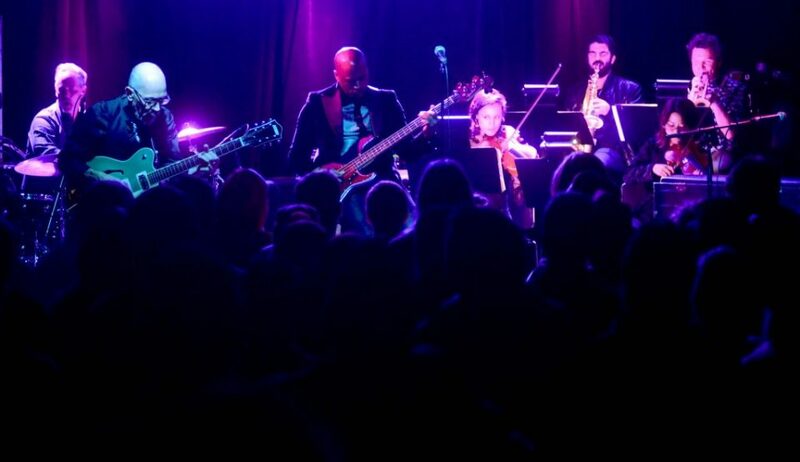 Known for scoring the Netflix original series, “Luke Cage,” the collective stopped in Grand Rapids in support of its new self-titled album. 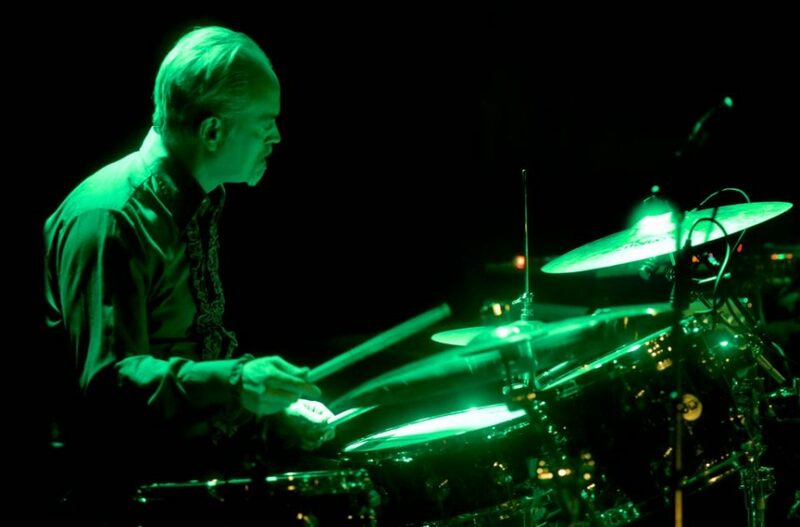 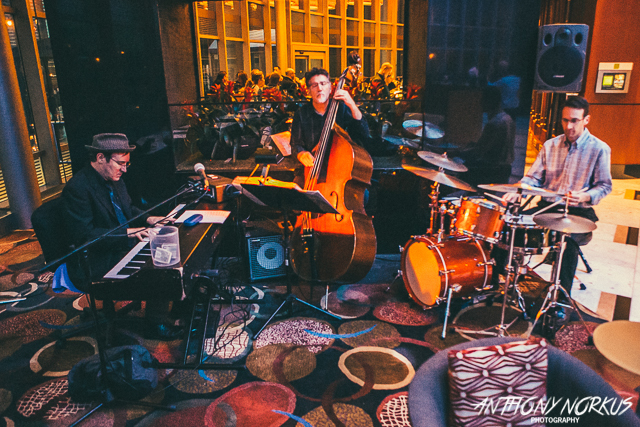 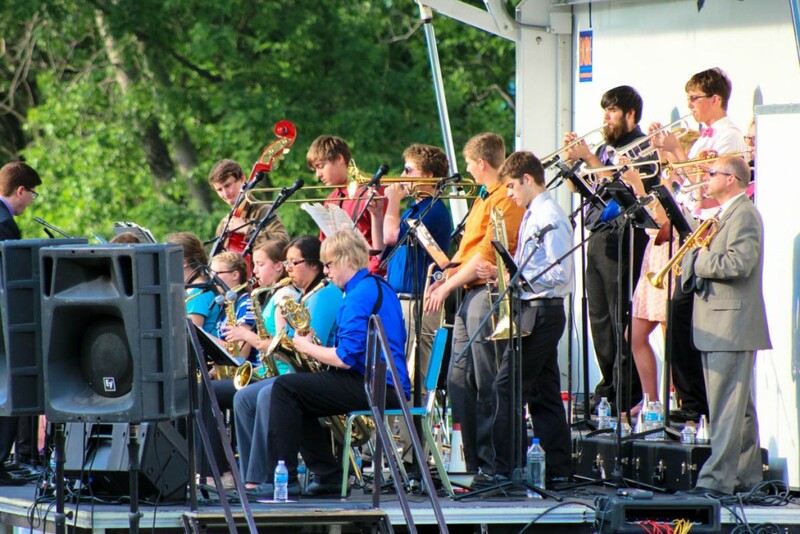 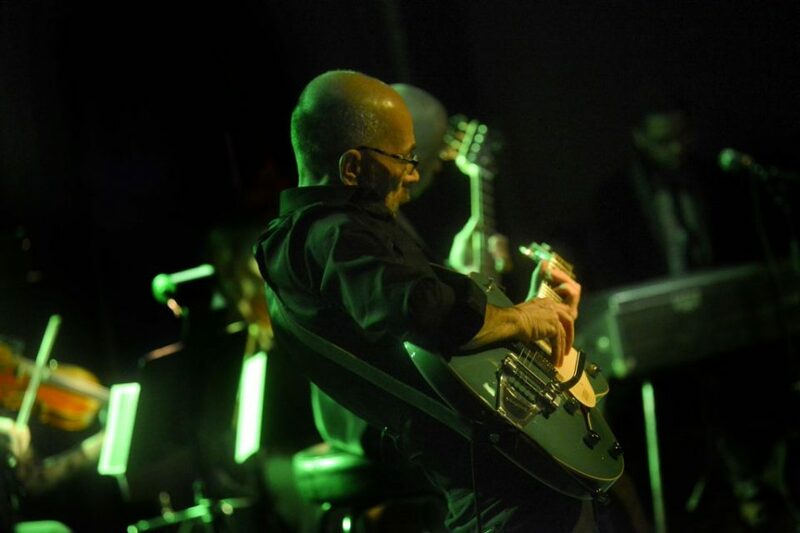 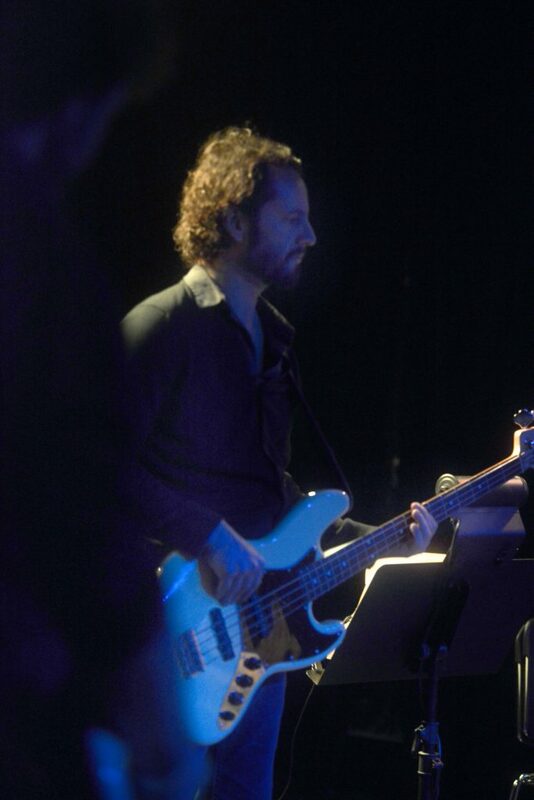 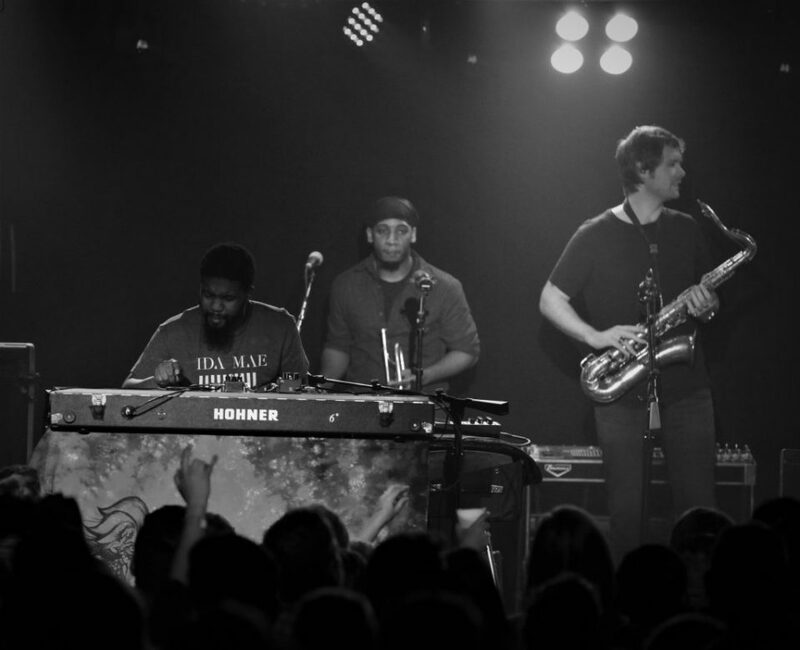 The mostly instrumental set — which followed an opening performance by Grand Rapids’ Les Creatif — featured groove-heavy compositions that drifted from jazz to vintage soul to the heartbeat of hip hop, displaying not only true versatility, but an appreciation and comprehension of the roots stemming from each genre. 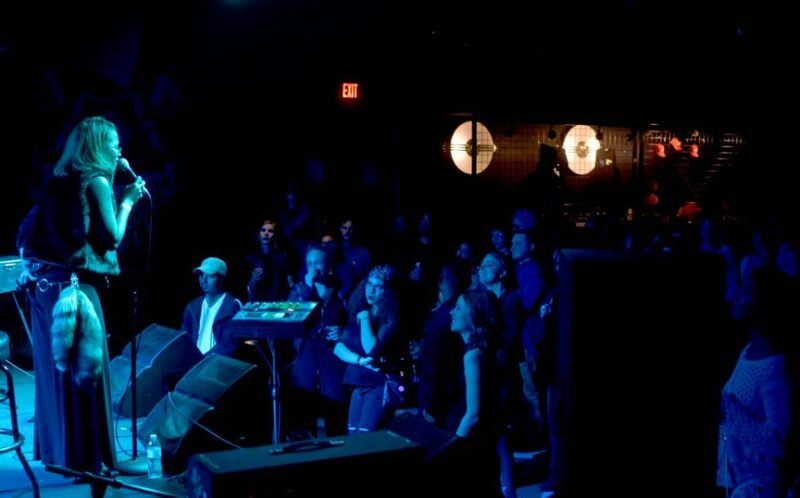 One highlight of the night came when the band invited singer Loren Oden onstage to sing a handful of numbers. 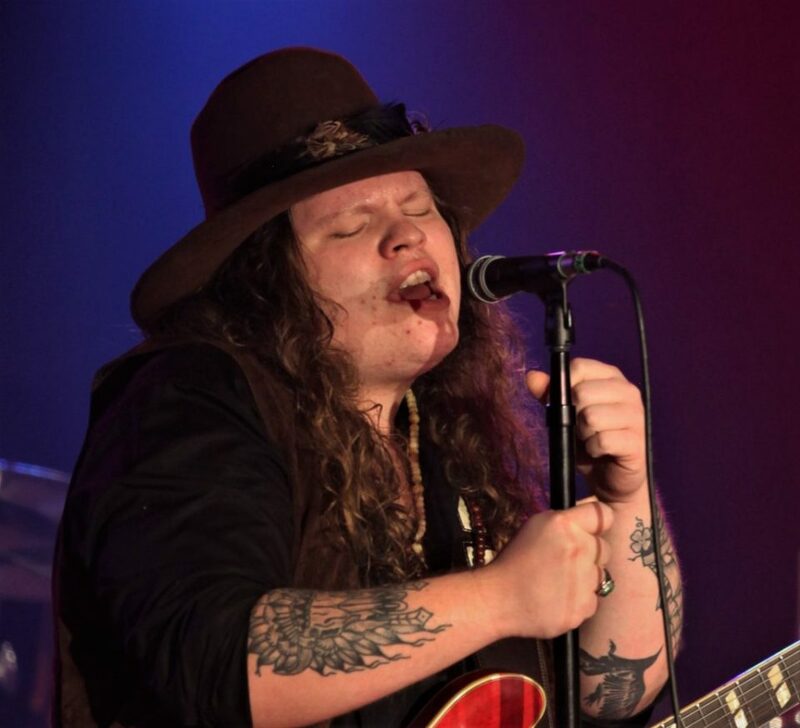 Oden crooned in true lounge-singer fashion, full of endearing swagger and impressive pipes. 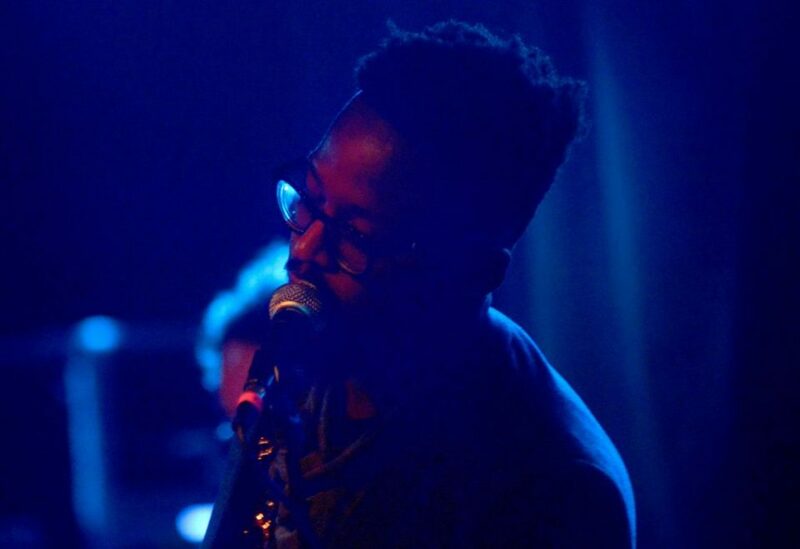 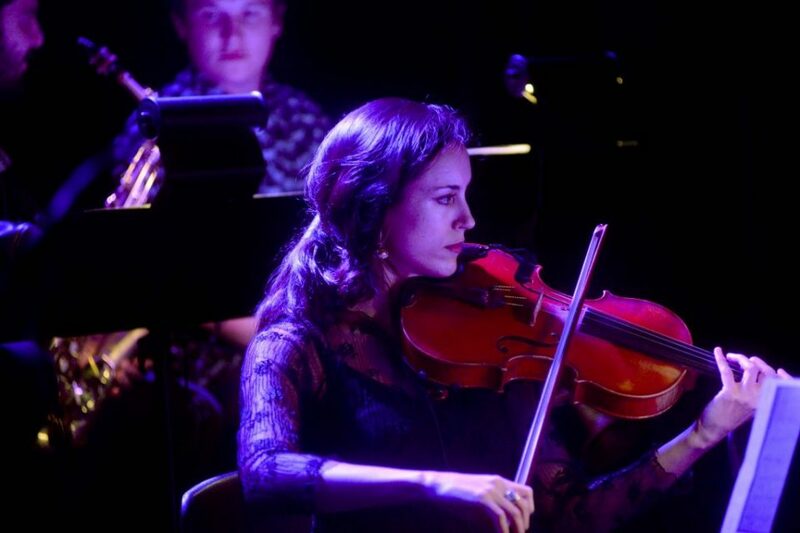 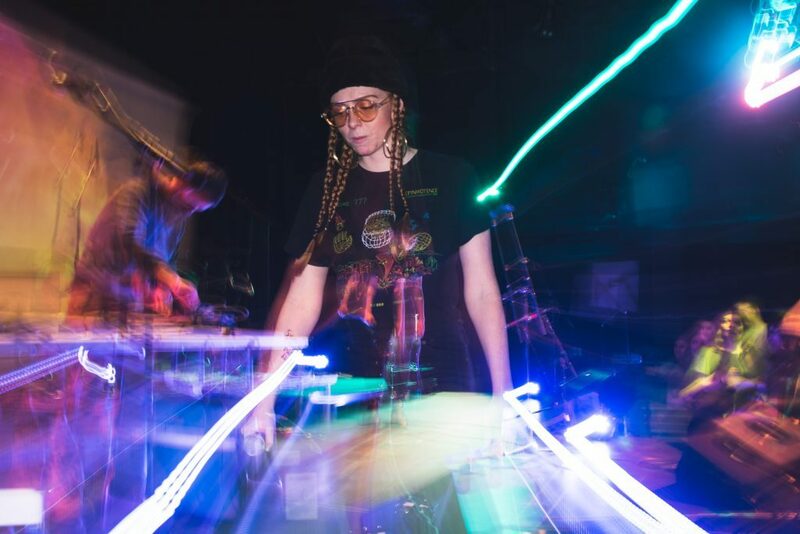 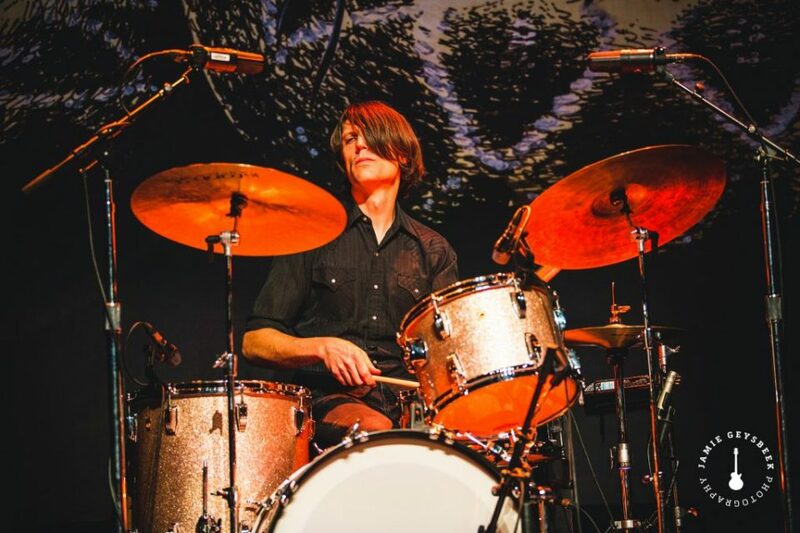 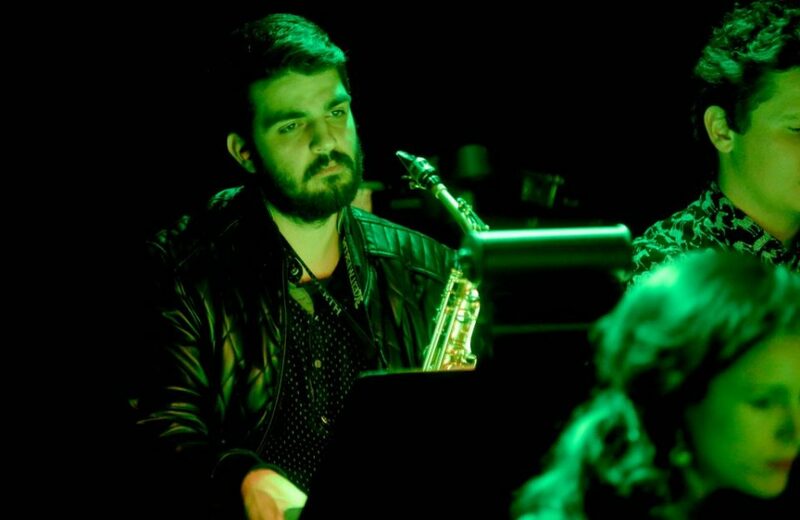 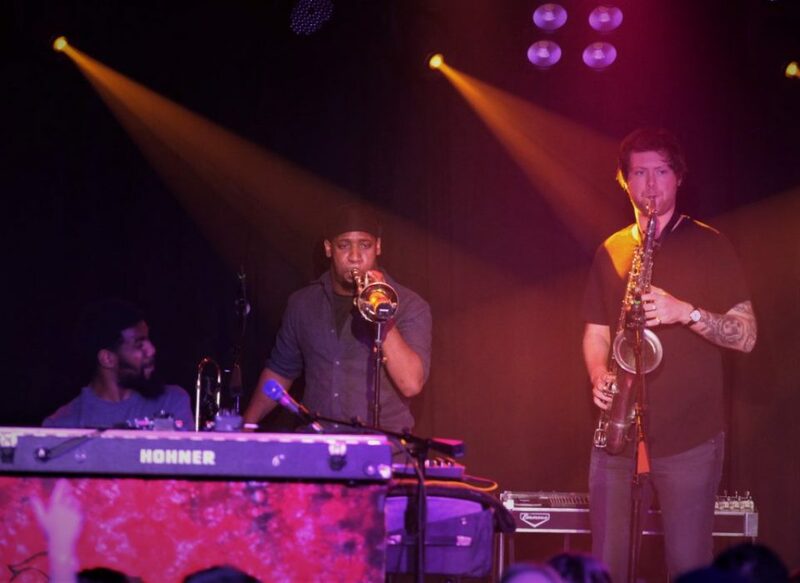 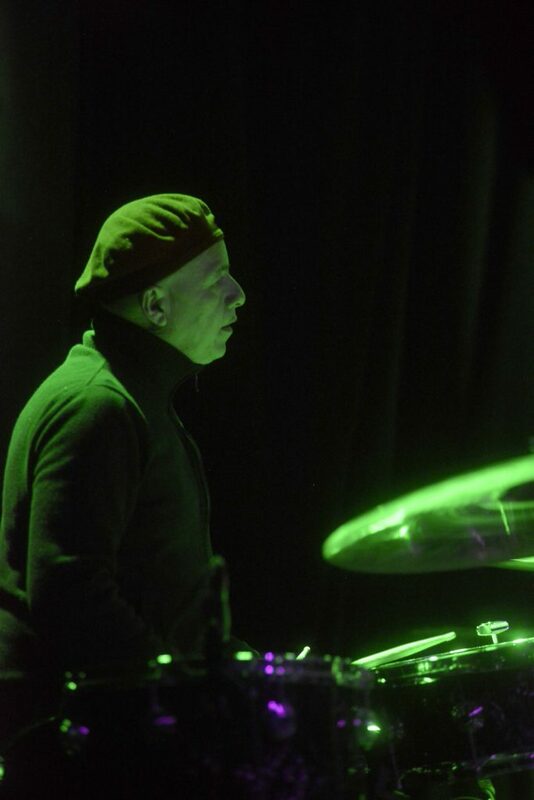 Other highlights included instrumental tracks from “Luke Cage,” as well as a moment when Muhammad and Younge swapped instruments near the end of the set with seamless proficiency. 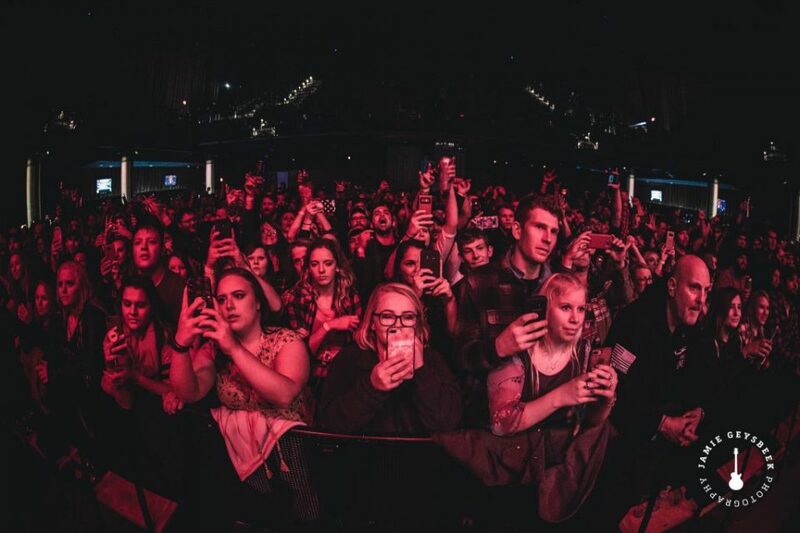 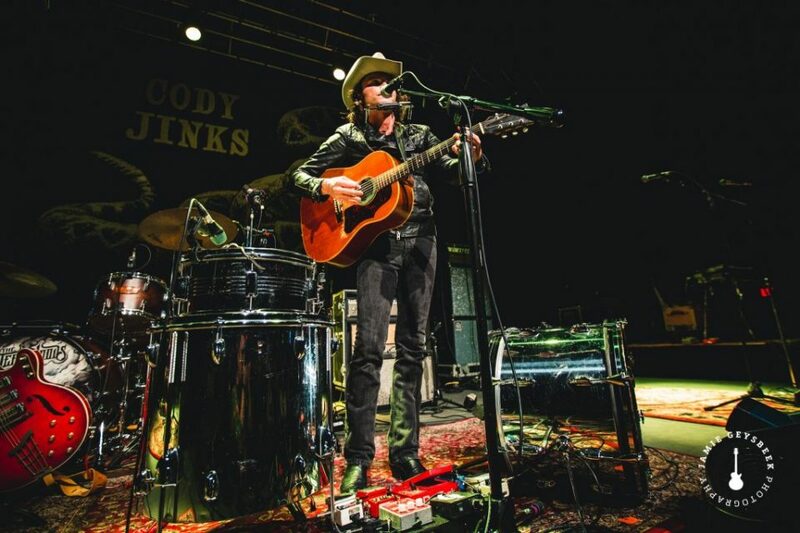 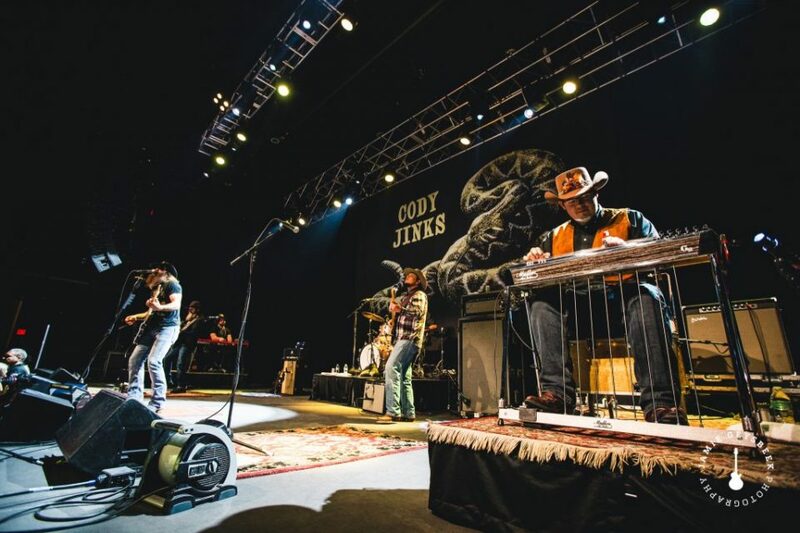 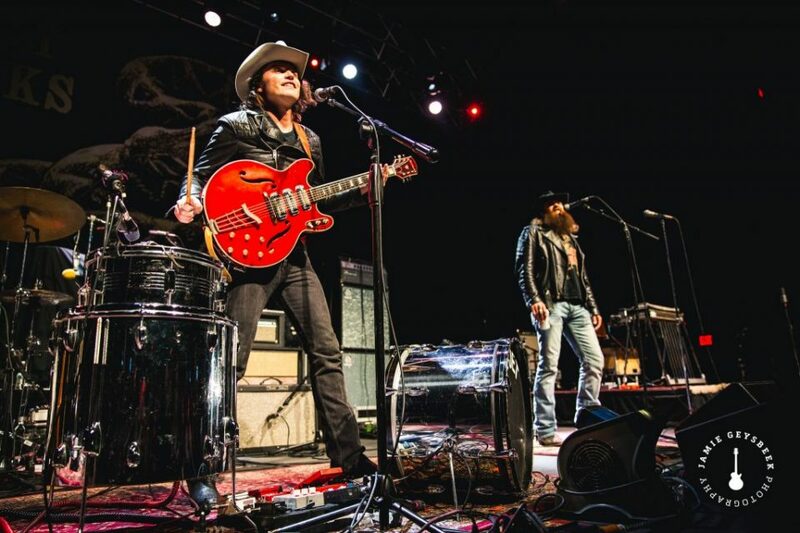 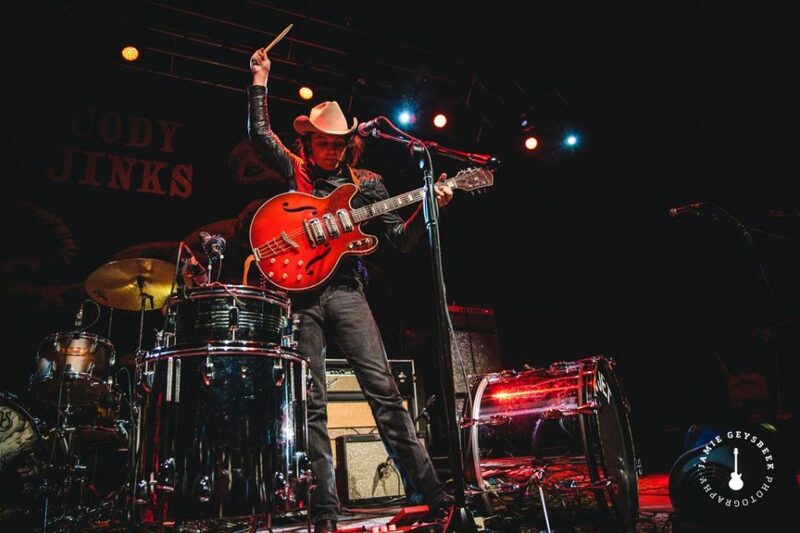 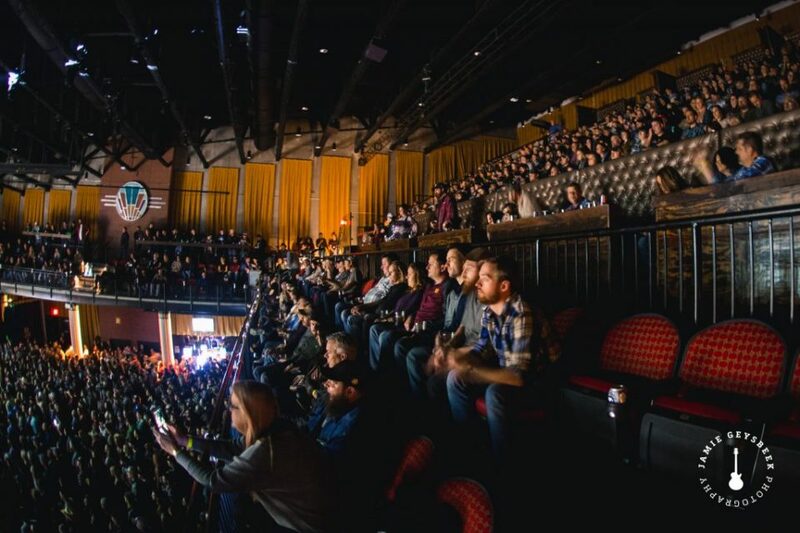 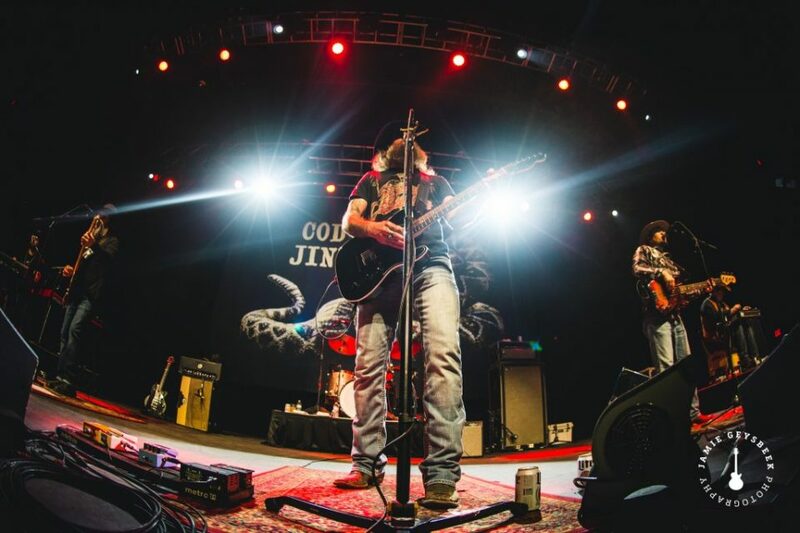 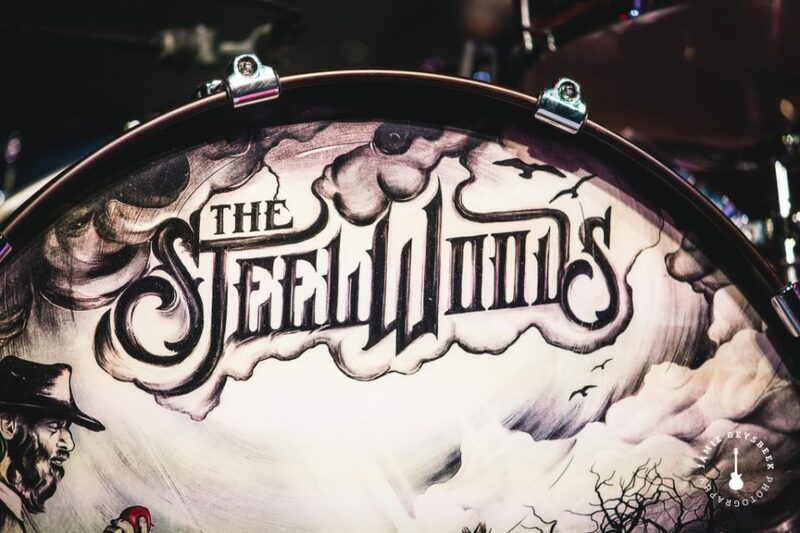 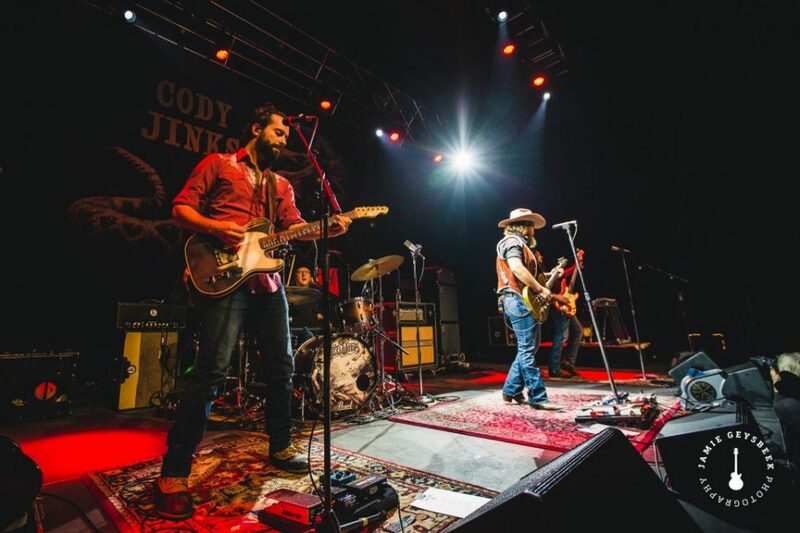 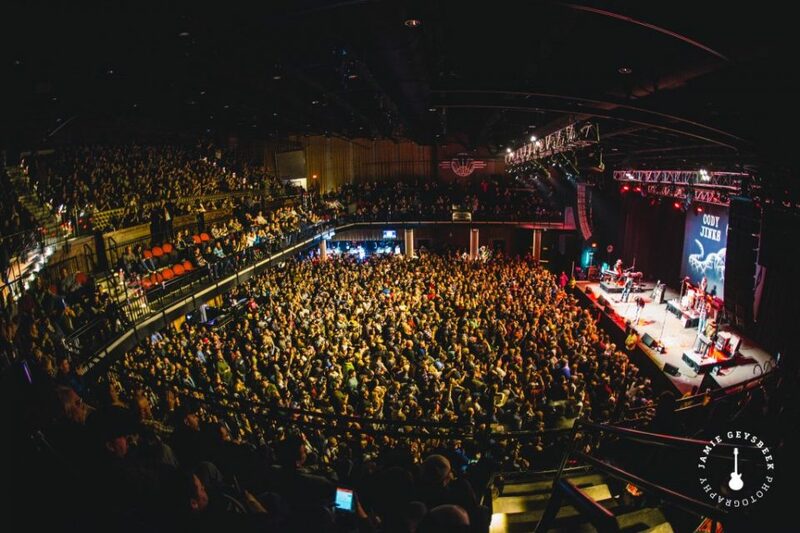 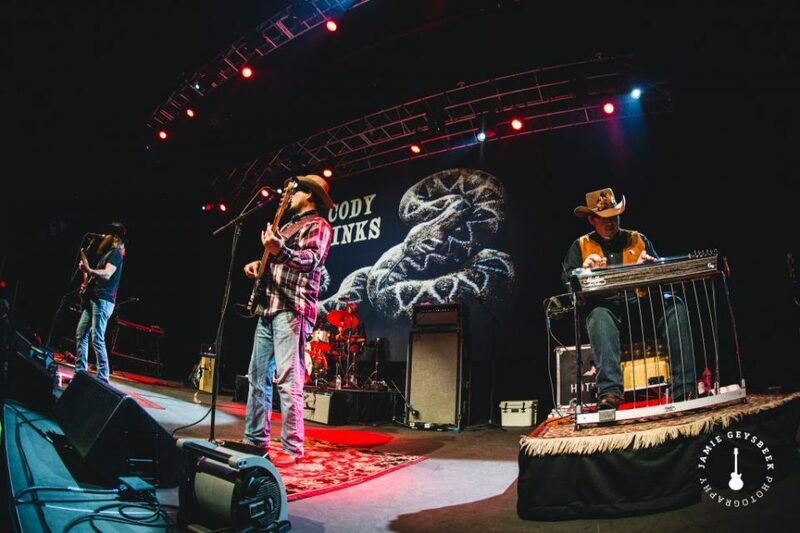 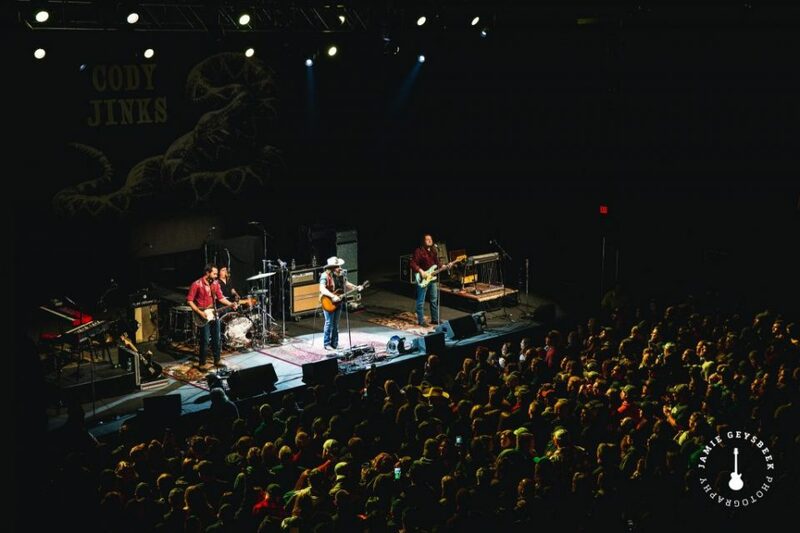 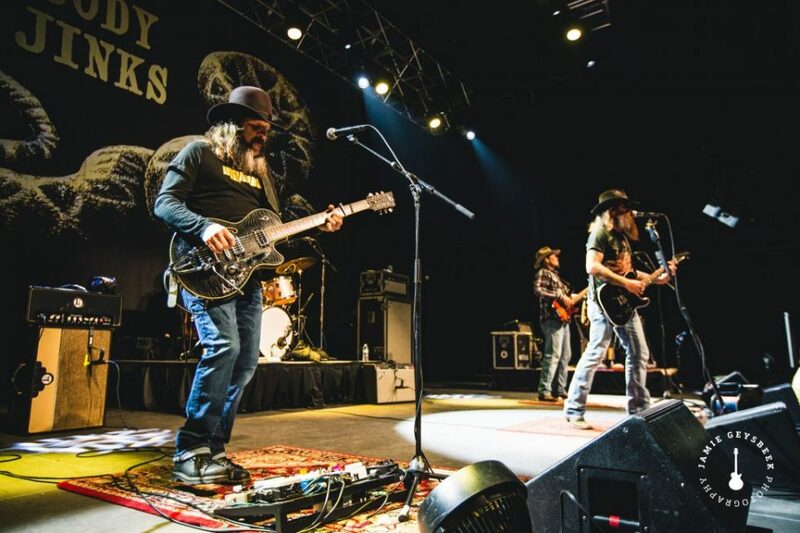 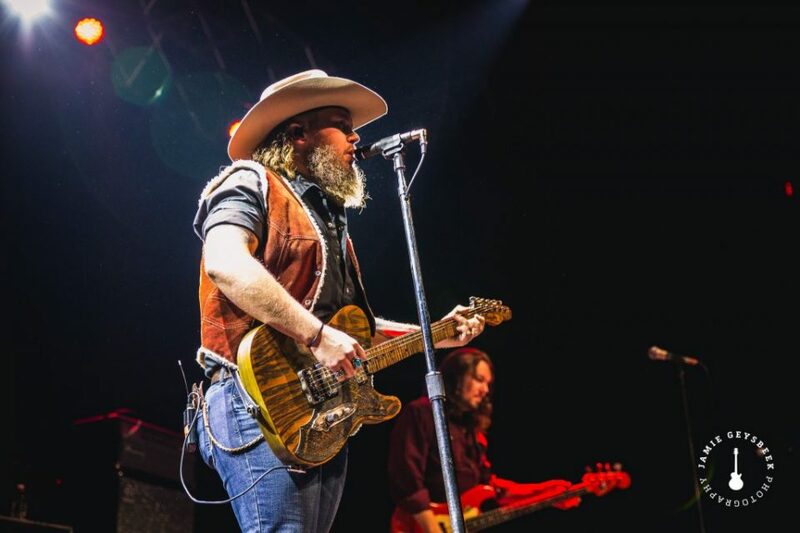 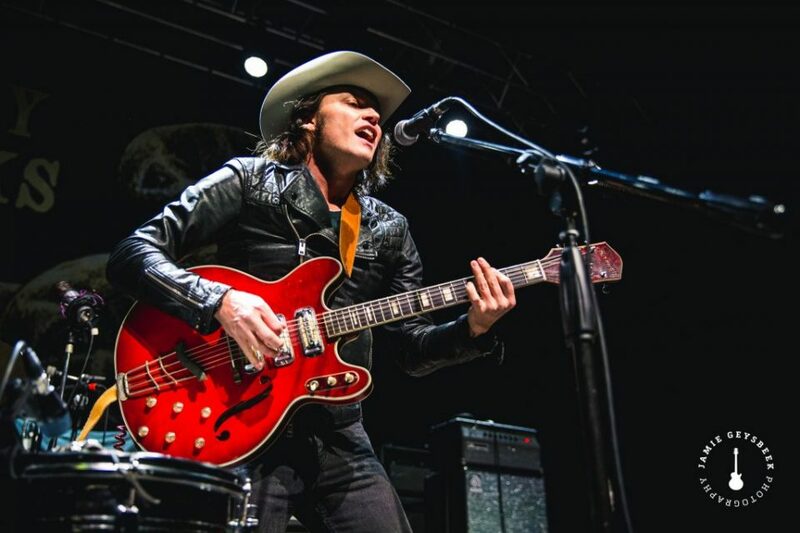 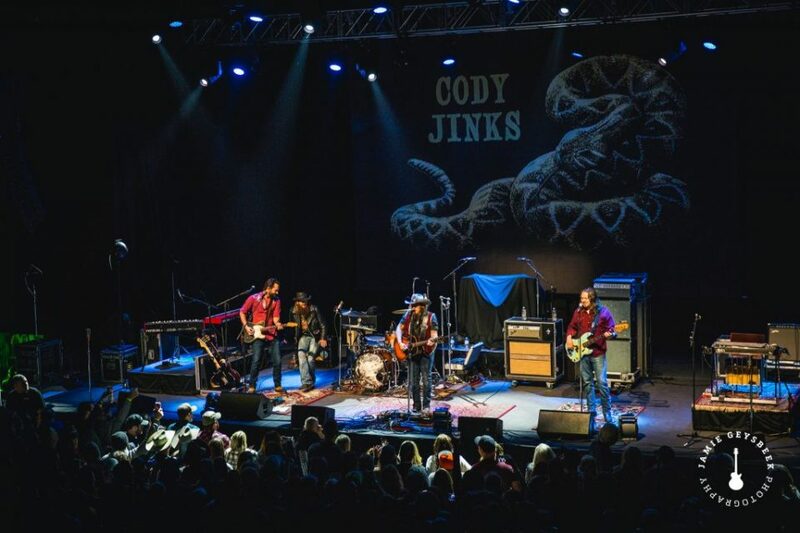 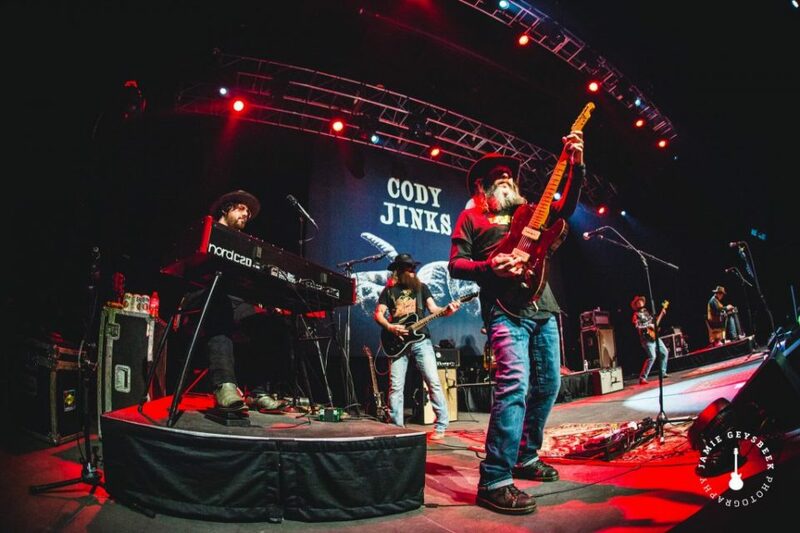 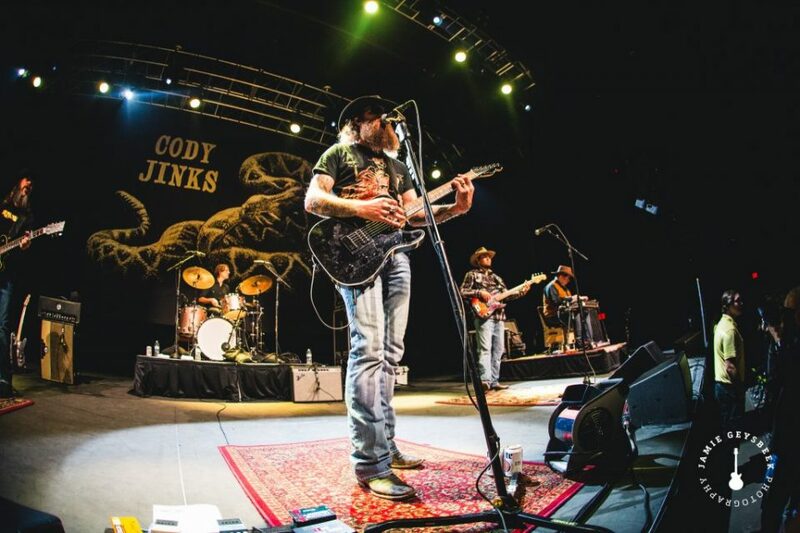 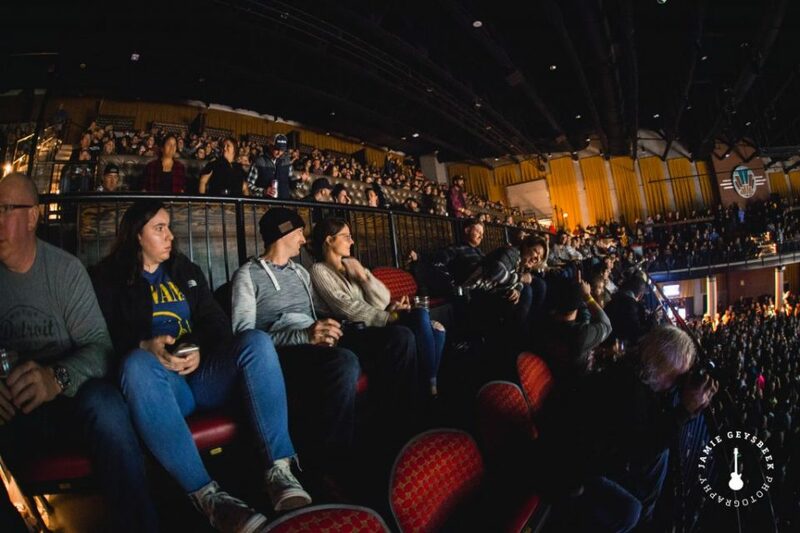 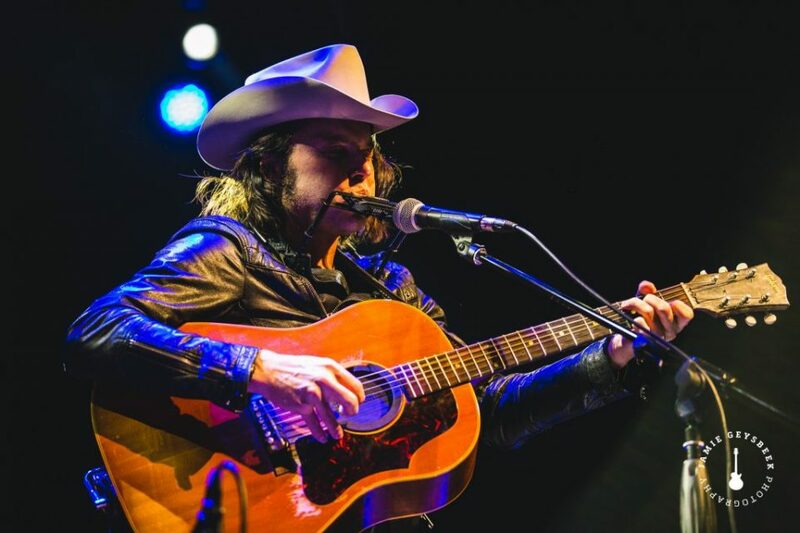 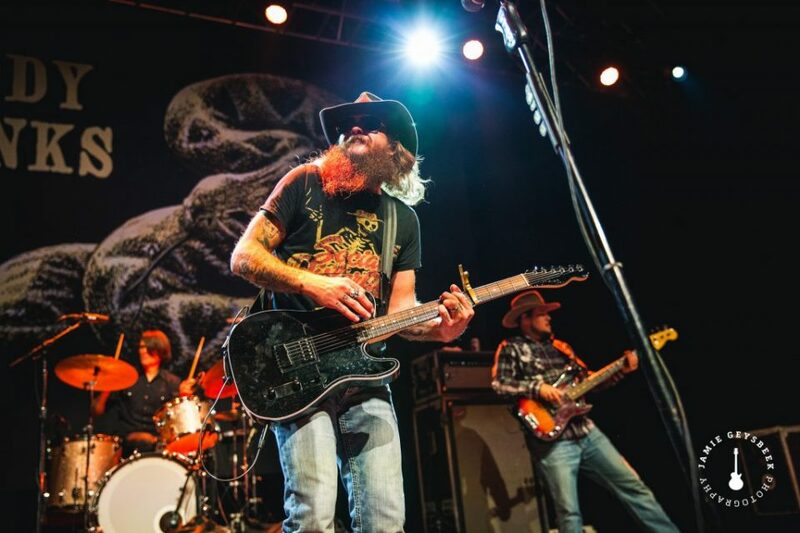 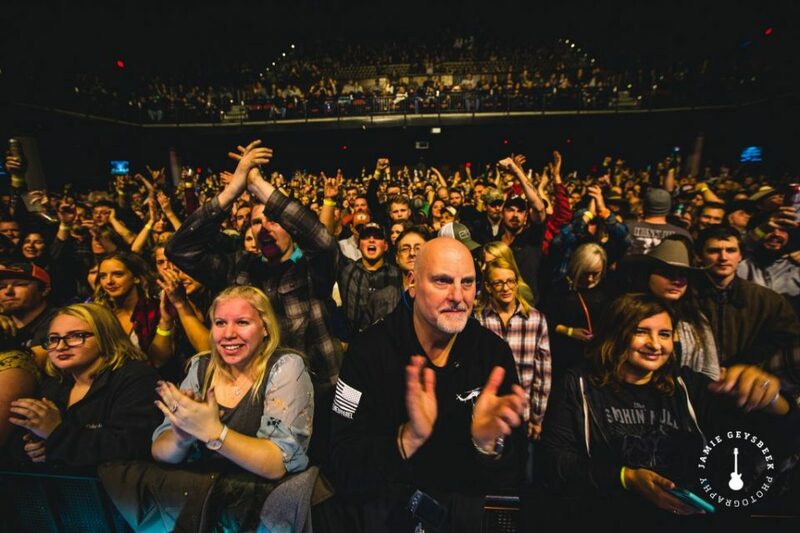 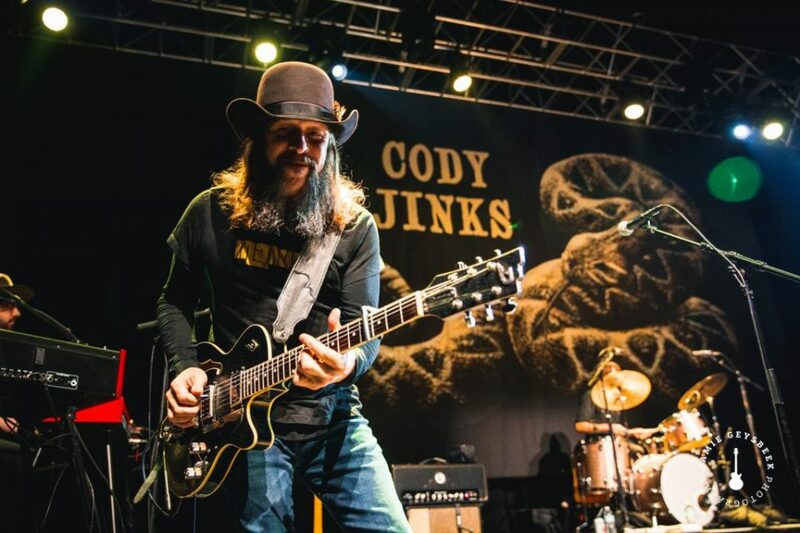 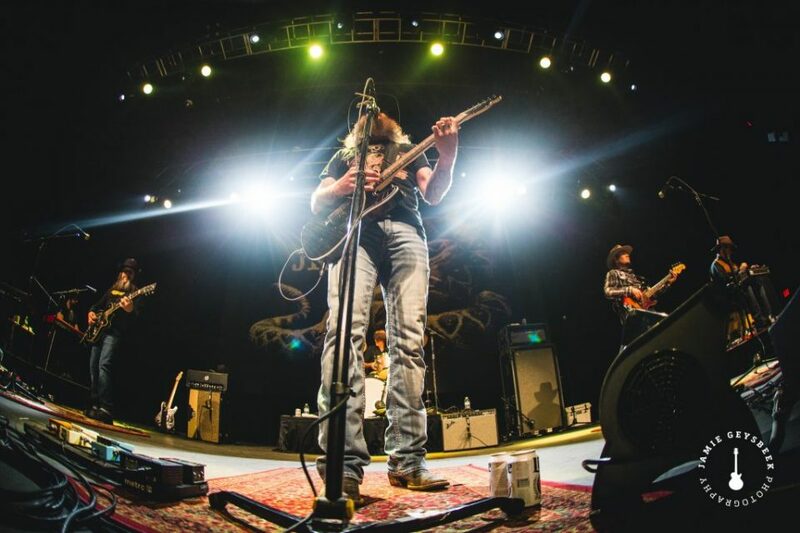 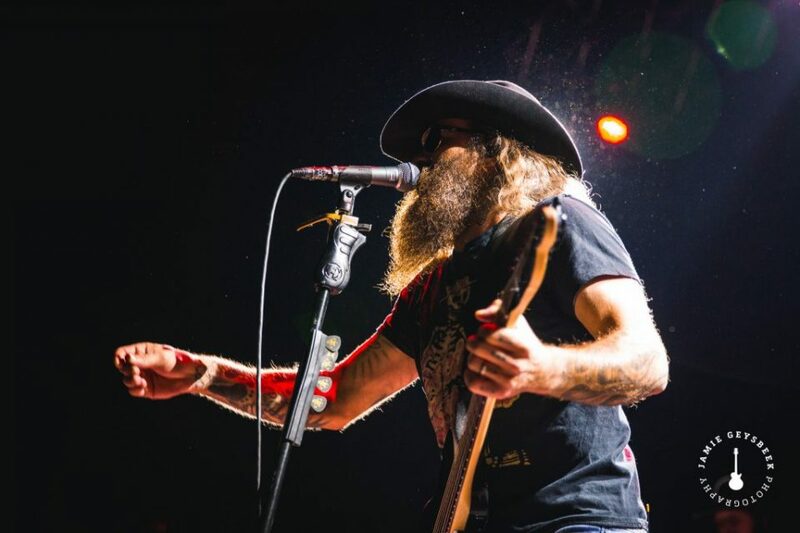 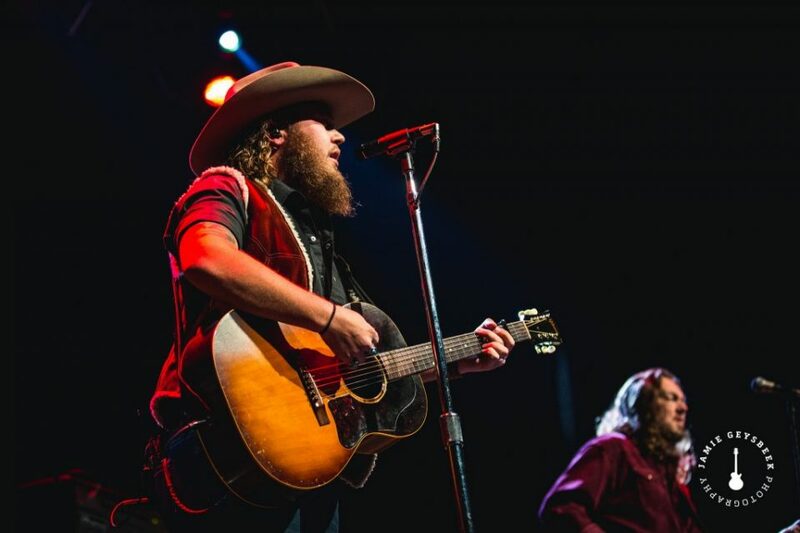 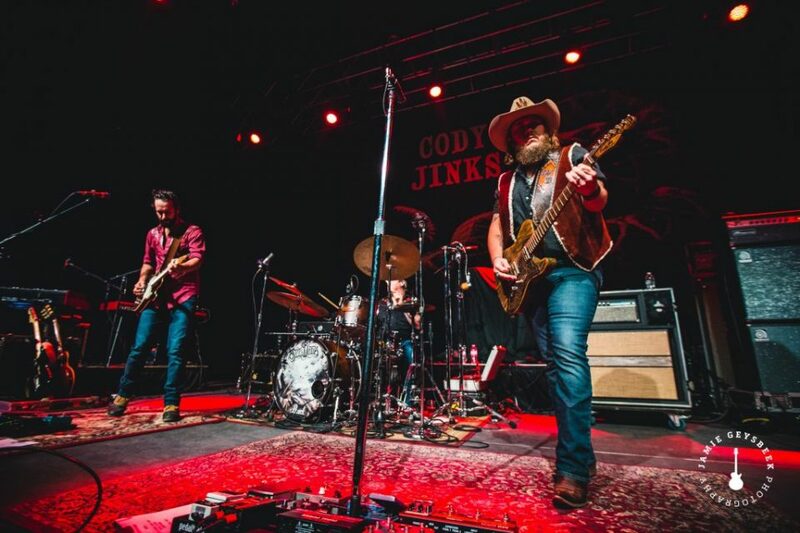 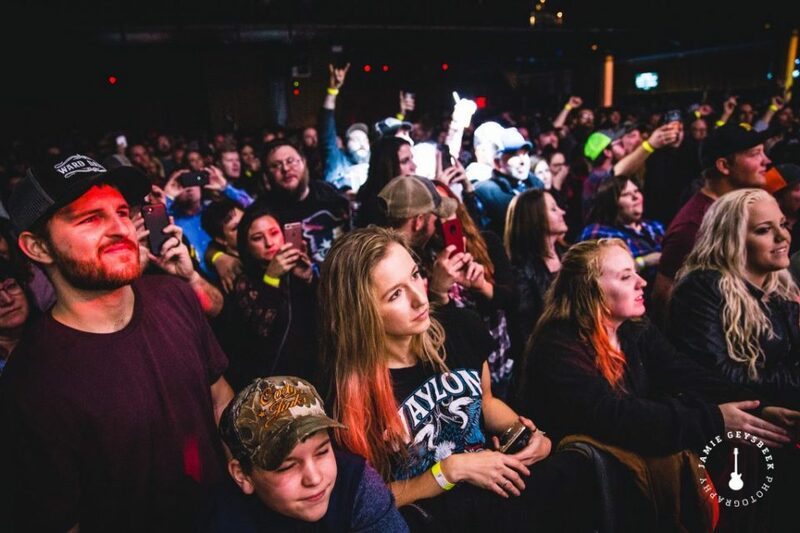 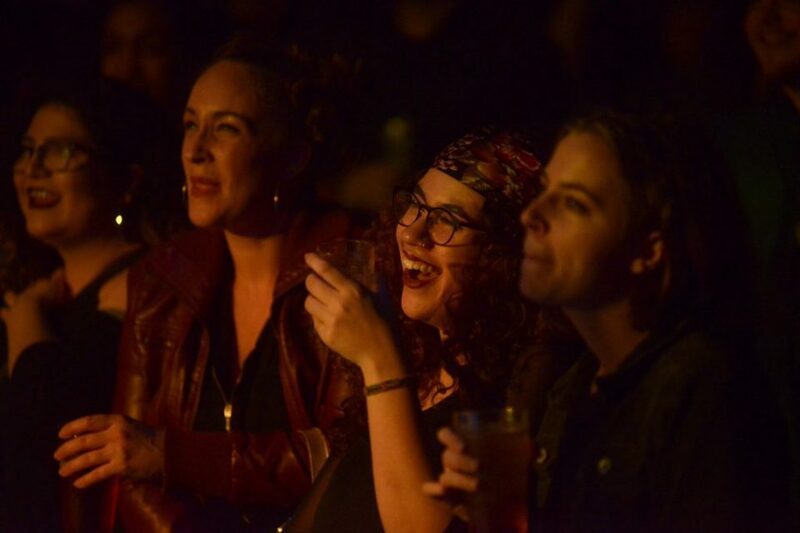 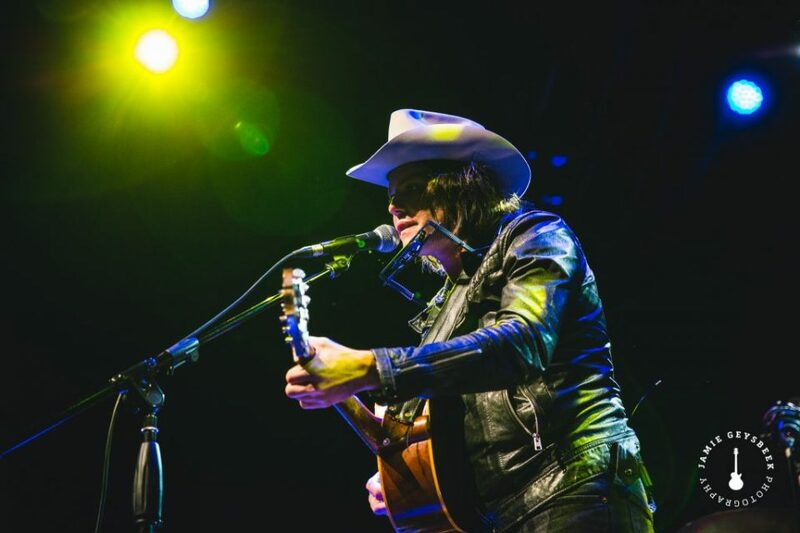 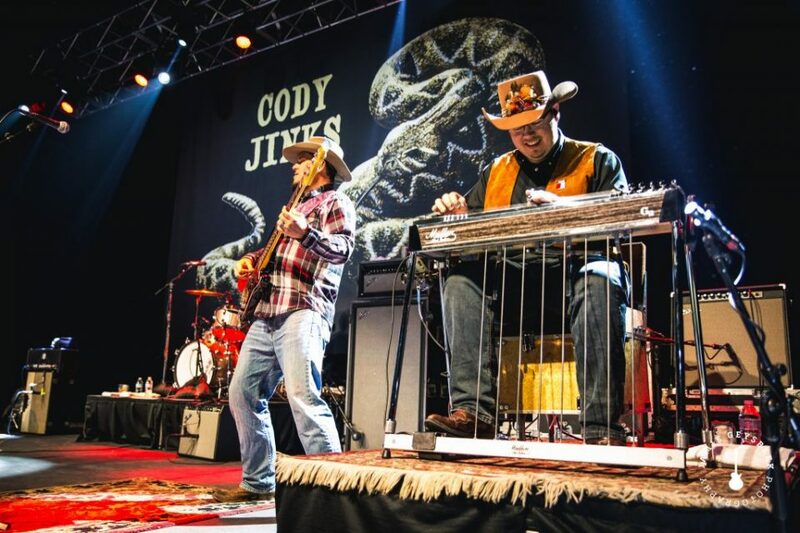 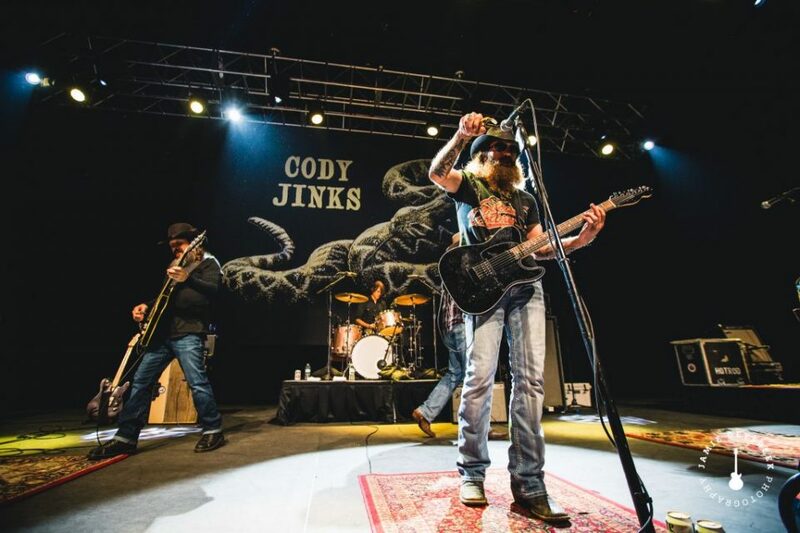 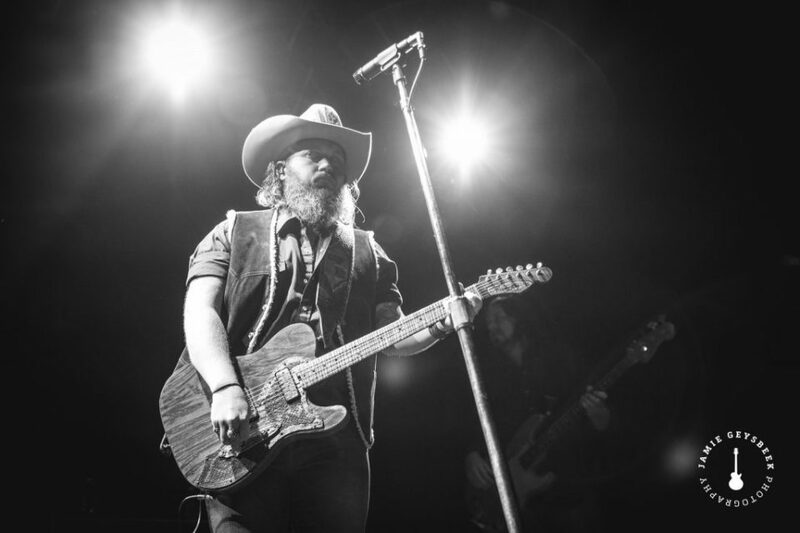 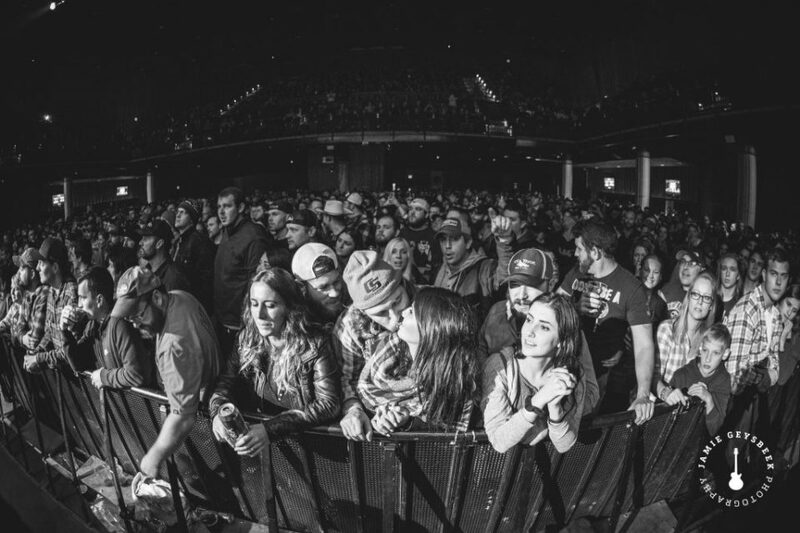 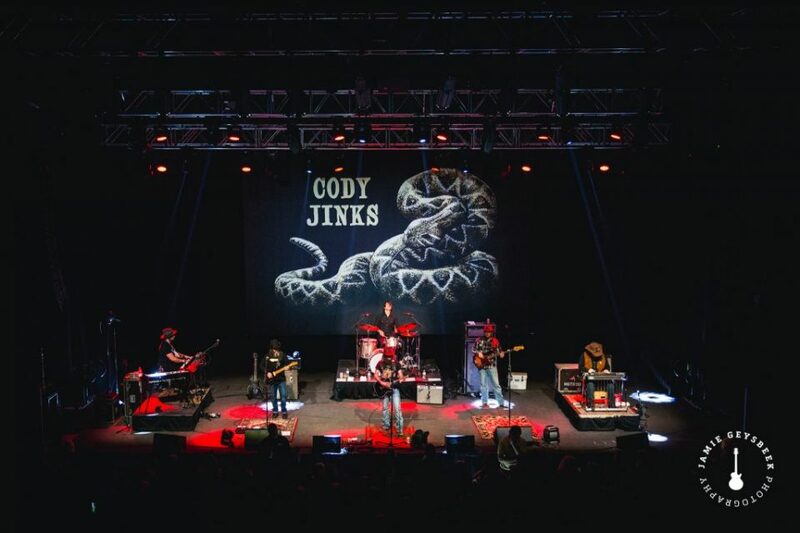 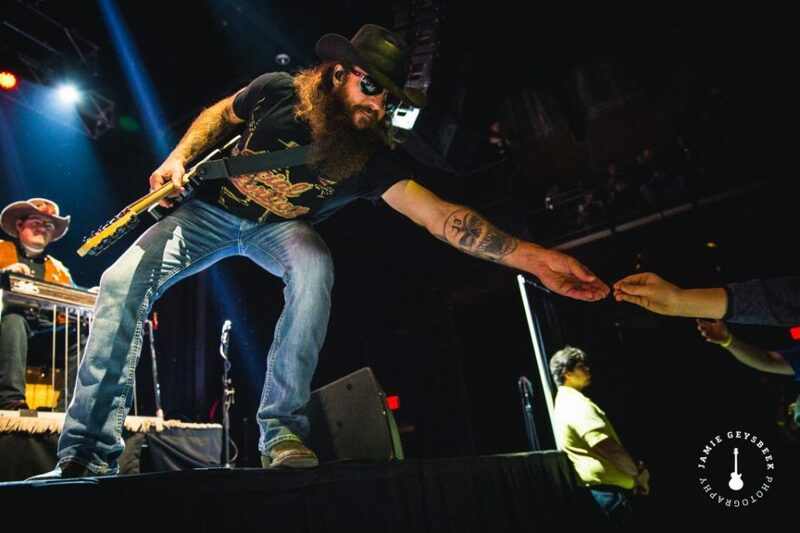 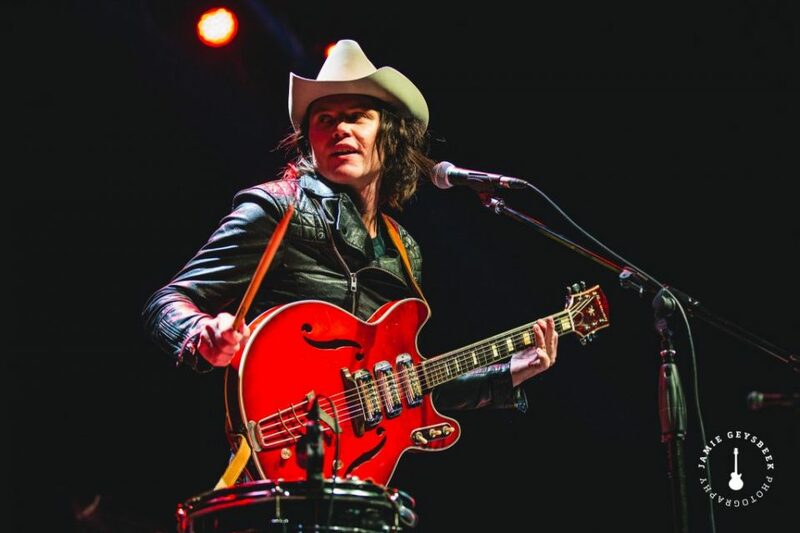 That certainly wasn’t the only impressive late-night spectacle to light up the week: Outlaw country’s Cody Jinks pumped up a lively crowd at Grand Rapids’ 20 Monroe Live on Saturday, with help from The Steel Woods and Tennessee Jet. 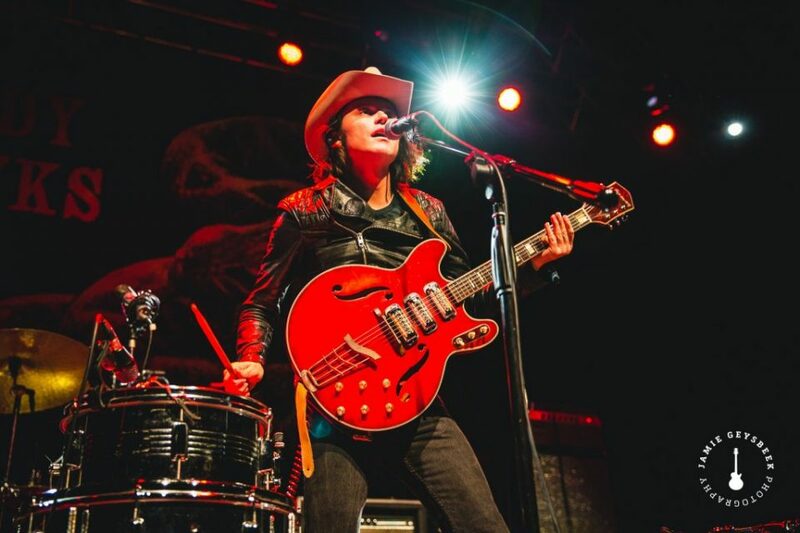 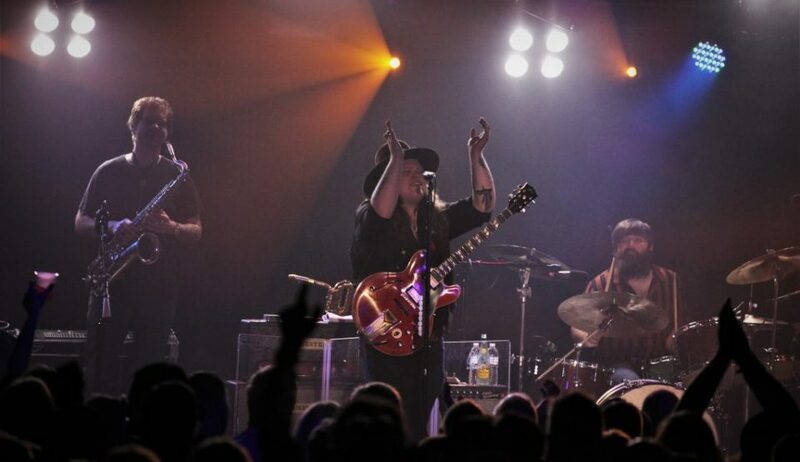 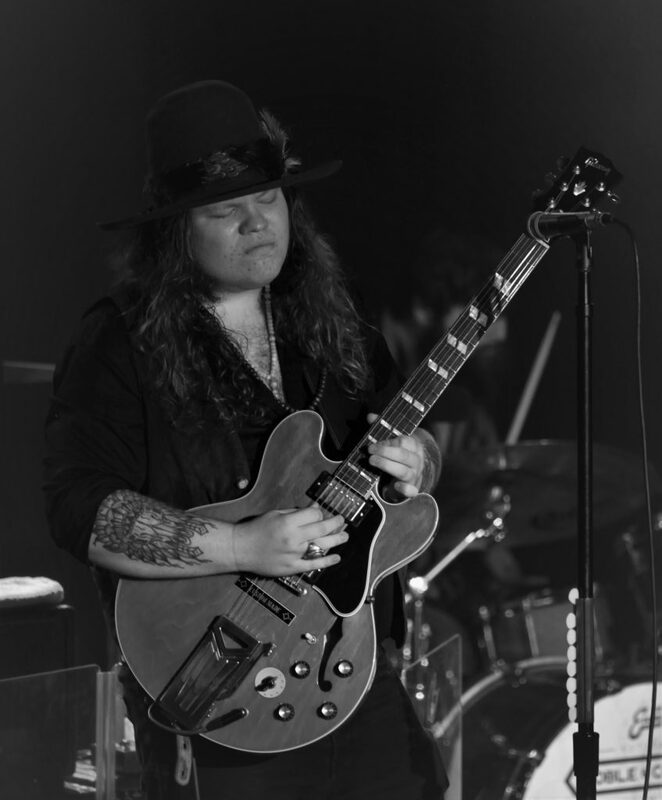 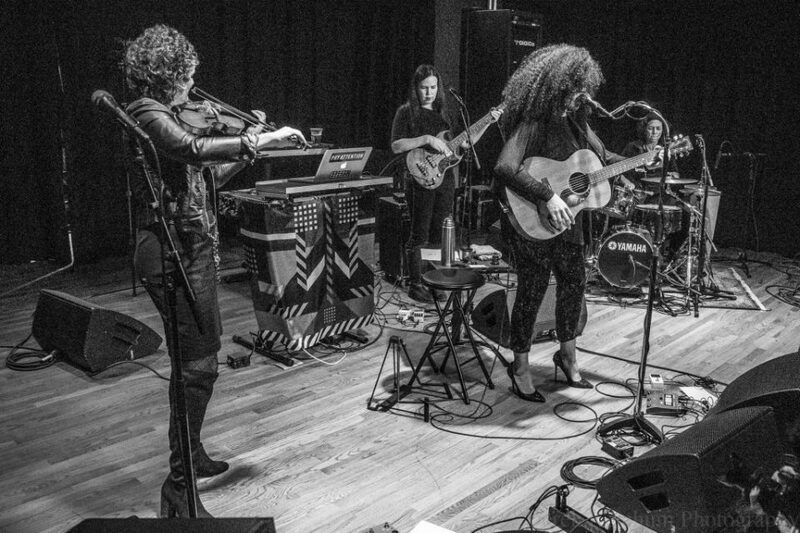 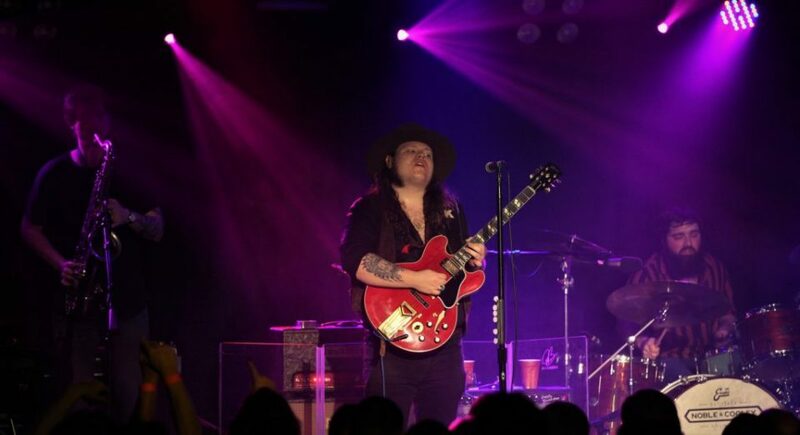 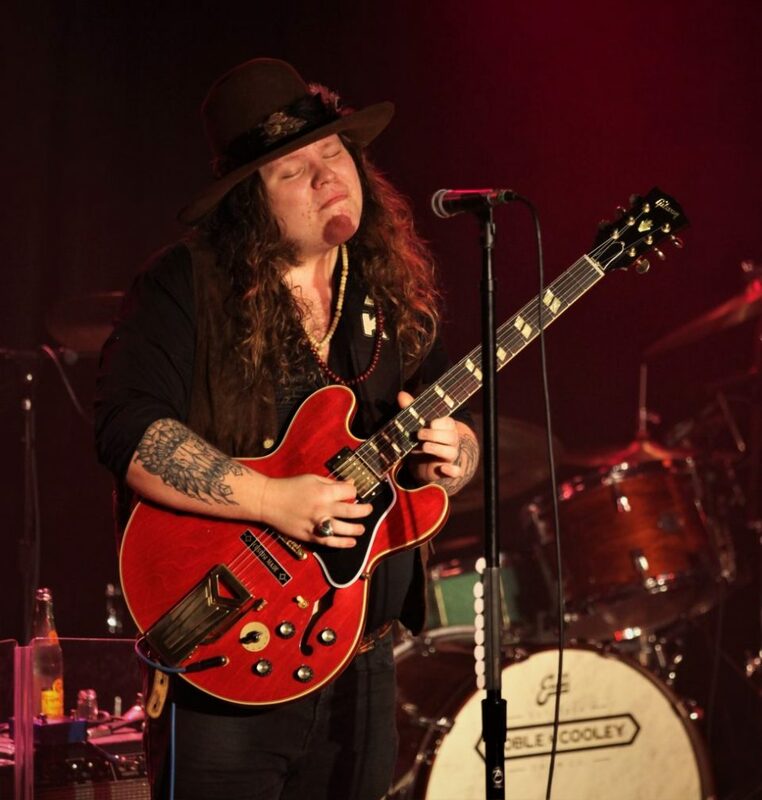 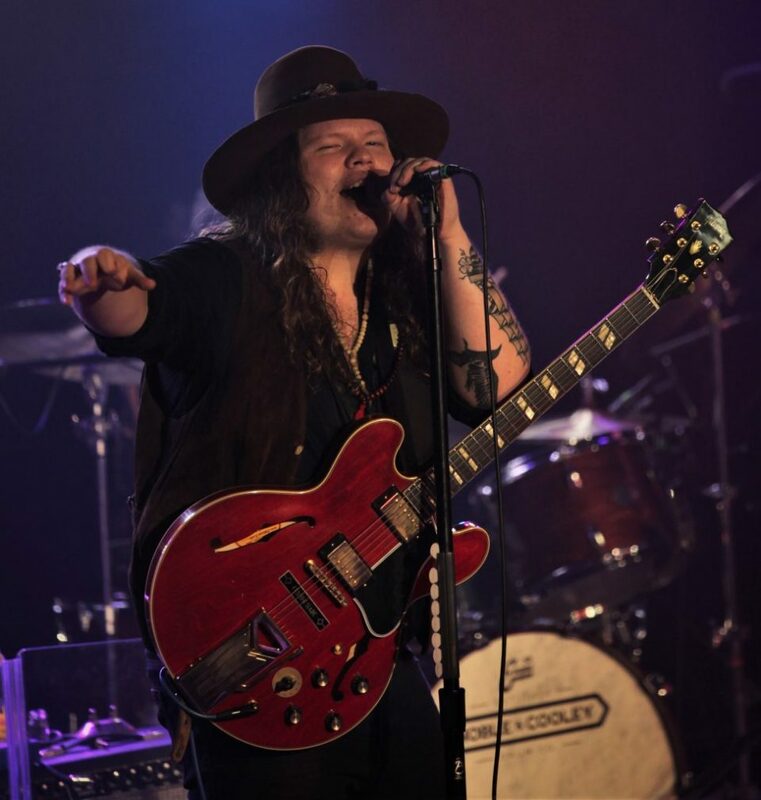 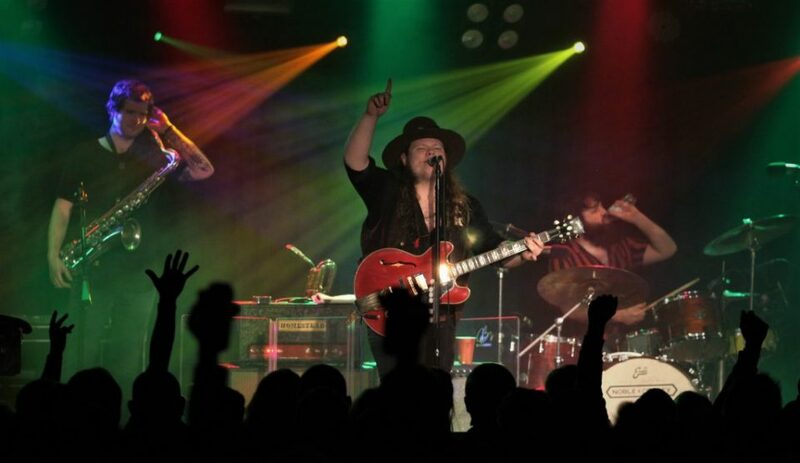 The Marcus King Band did much the same with its rootsy, blues-propelled songs at Elevation inside The Intersection on Friday, the same night The Midnight Hour played The Pyramid Scheme. 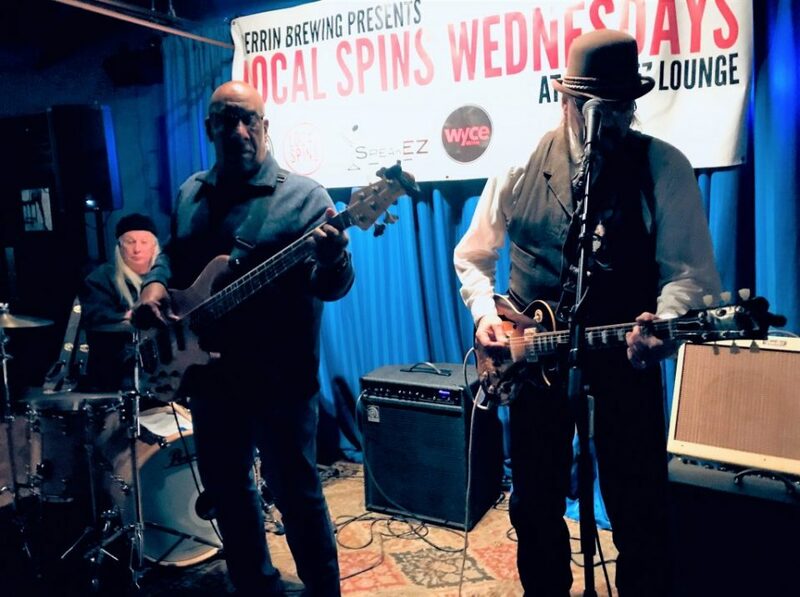 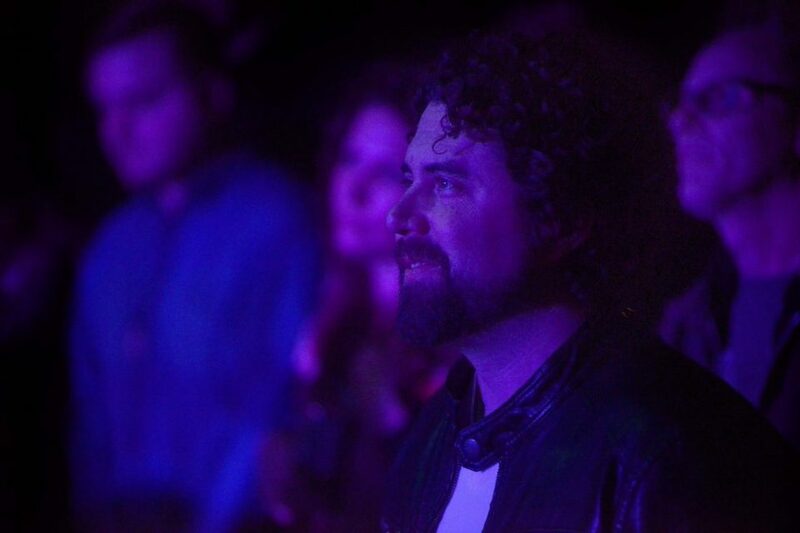 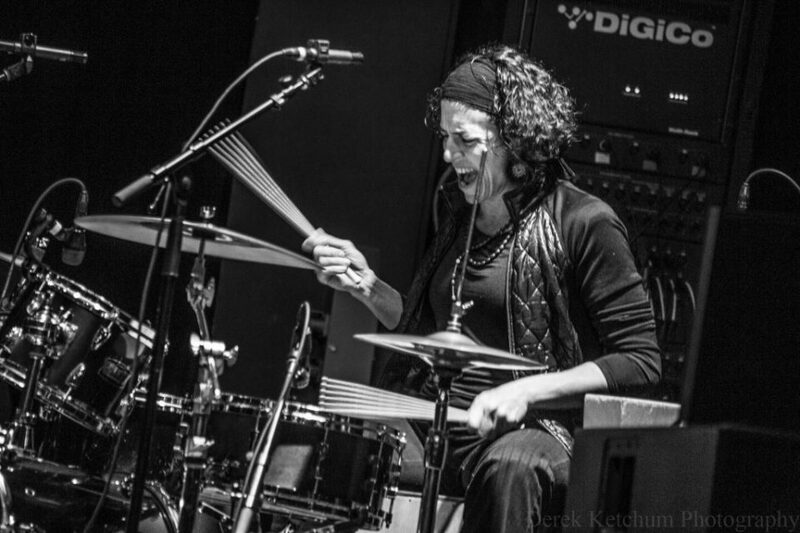 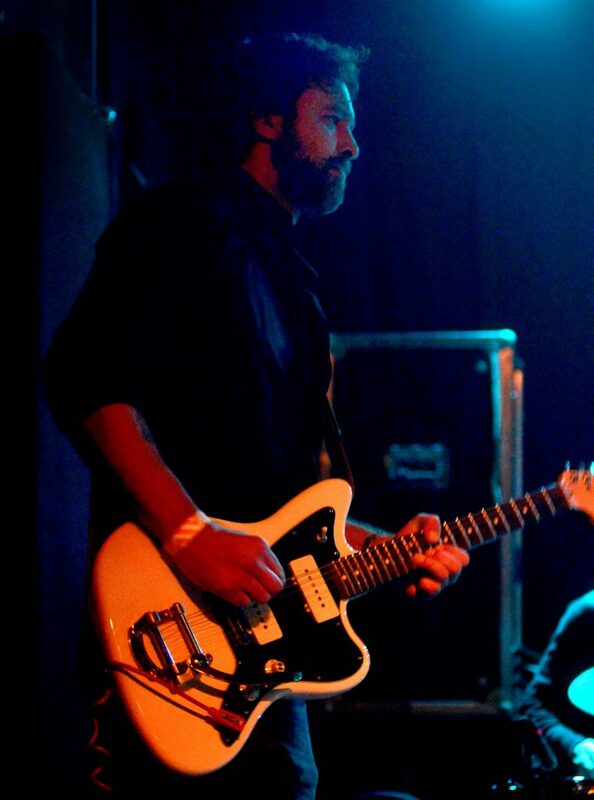 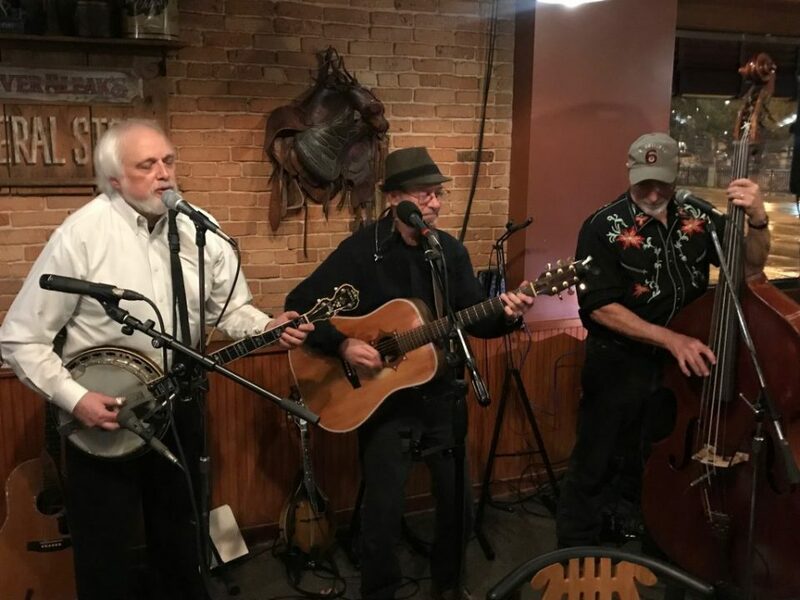 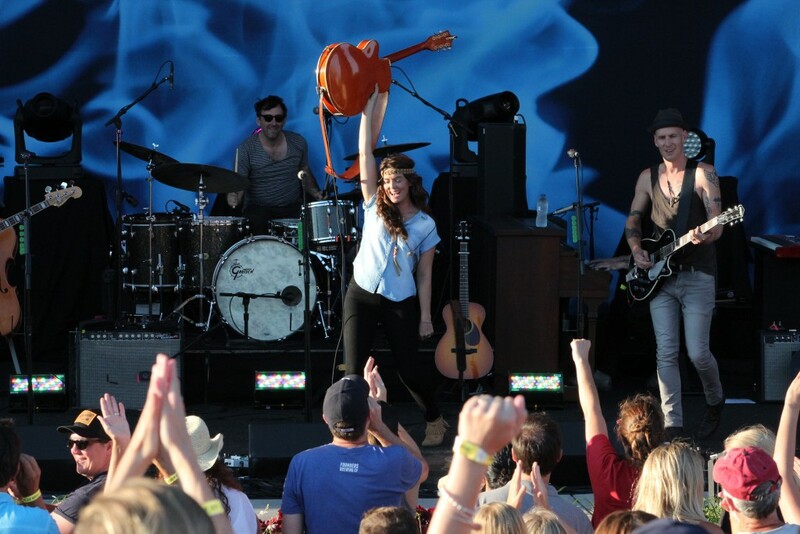 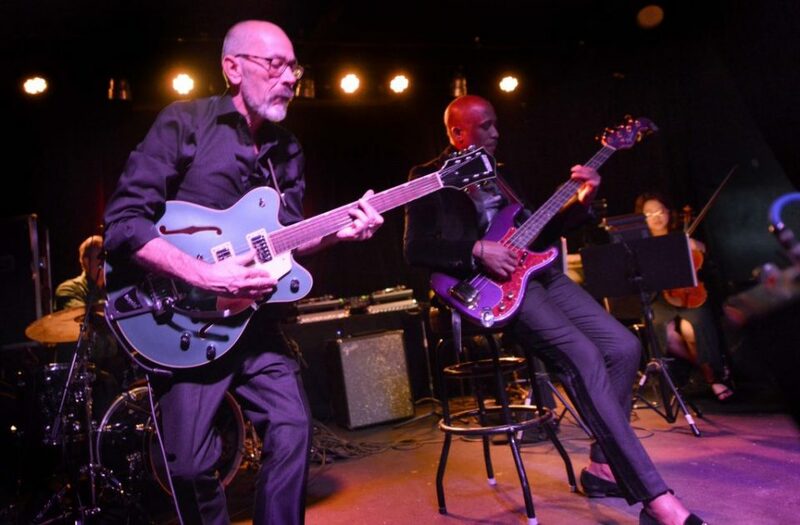 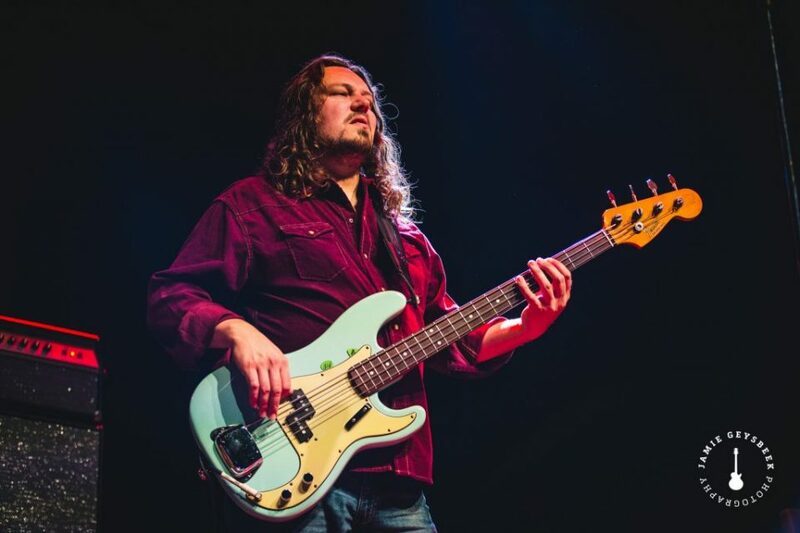 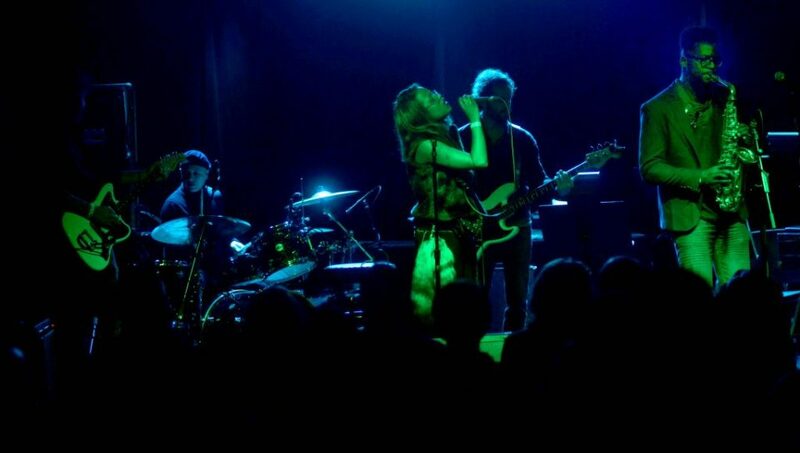 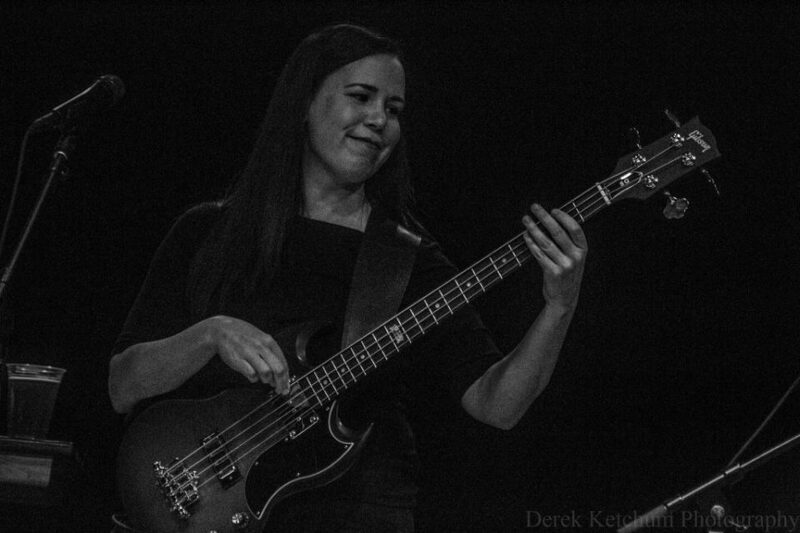 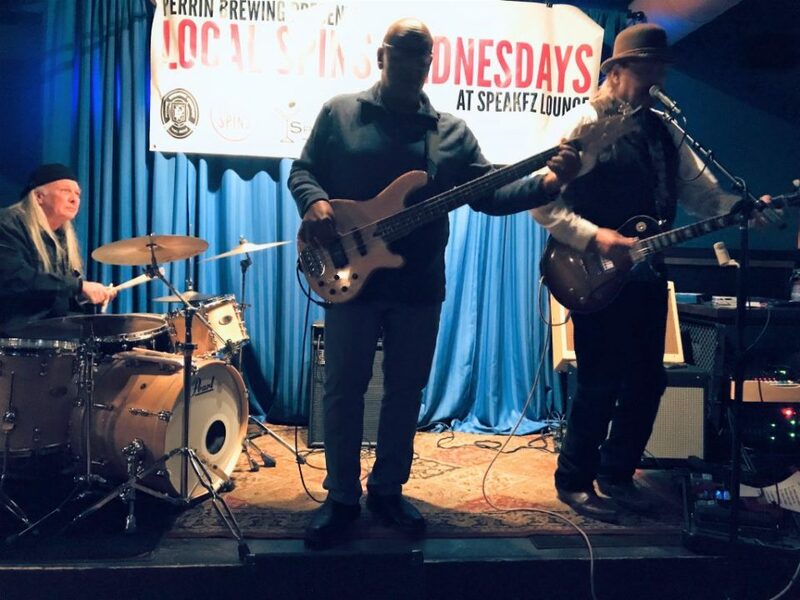 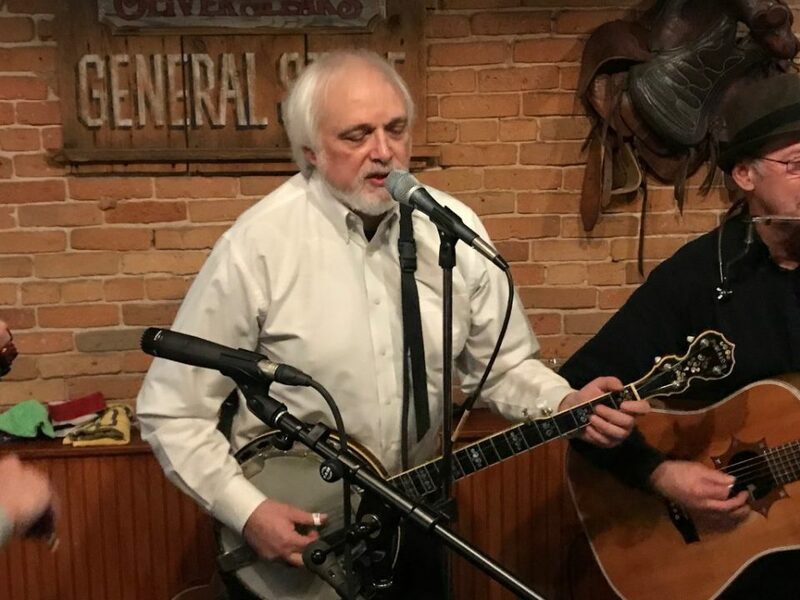 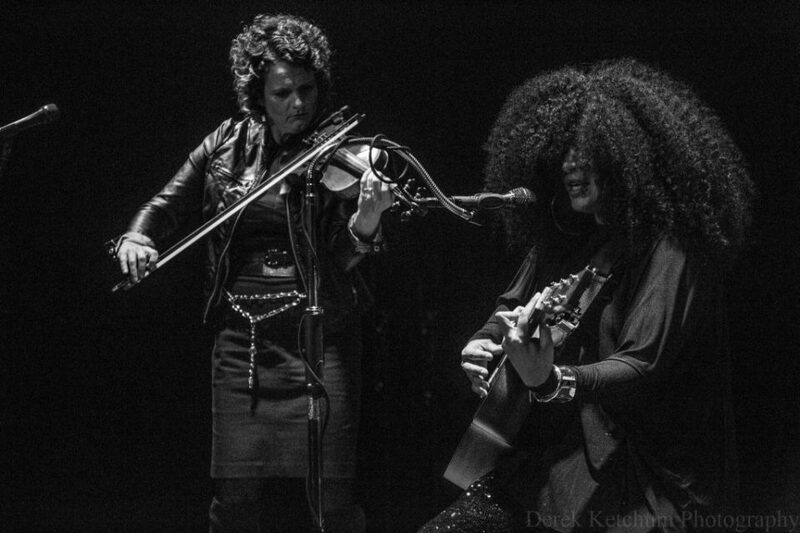 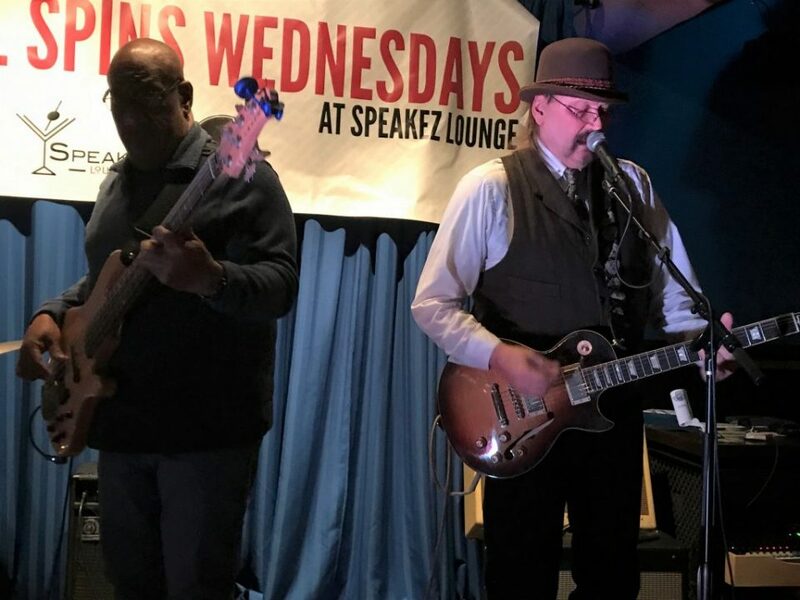 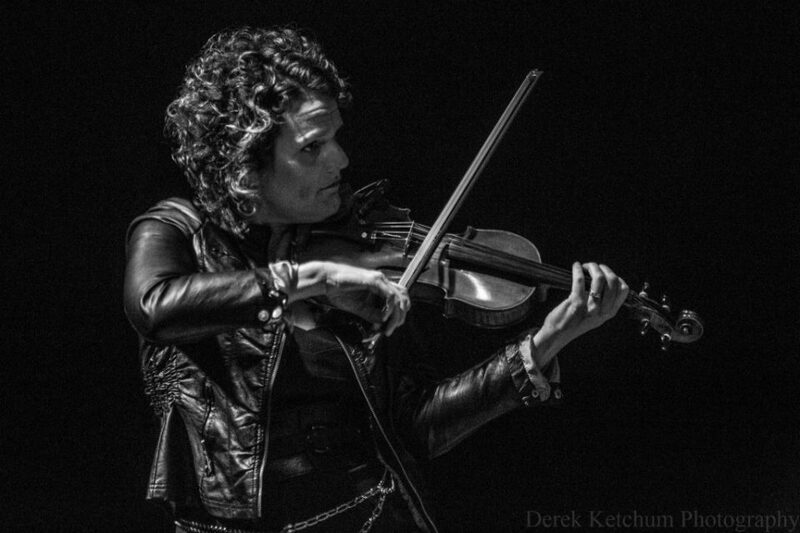 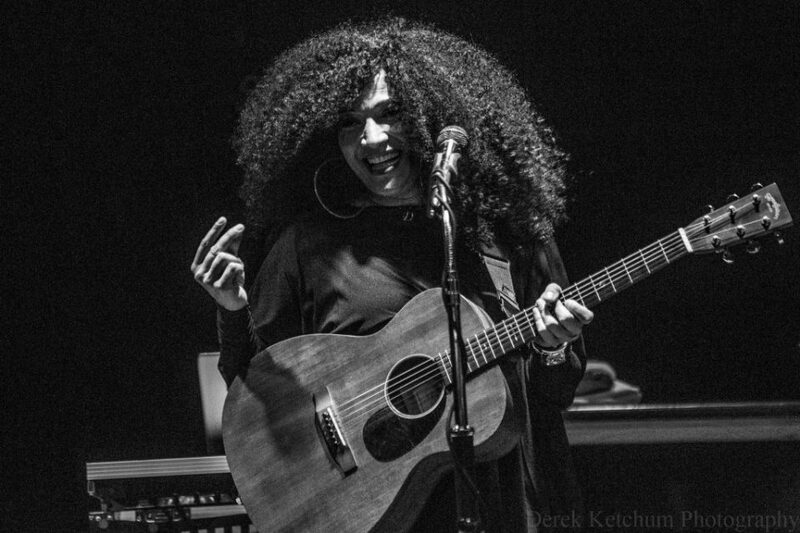 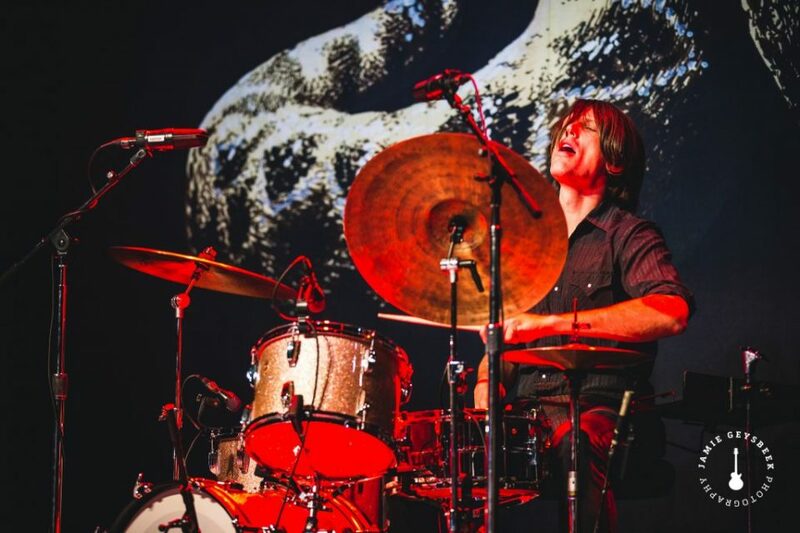 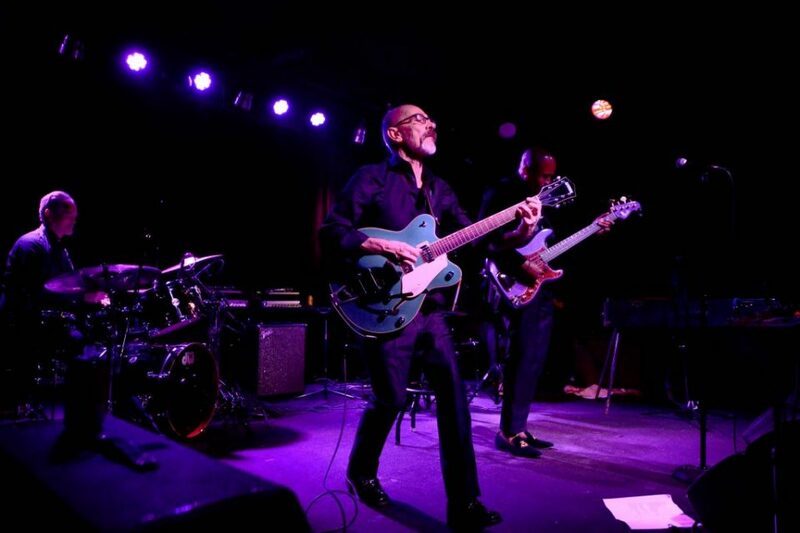 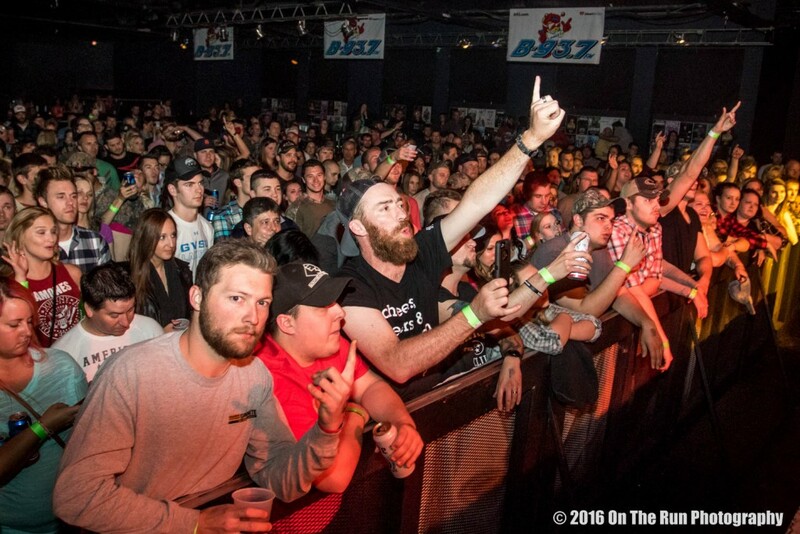 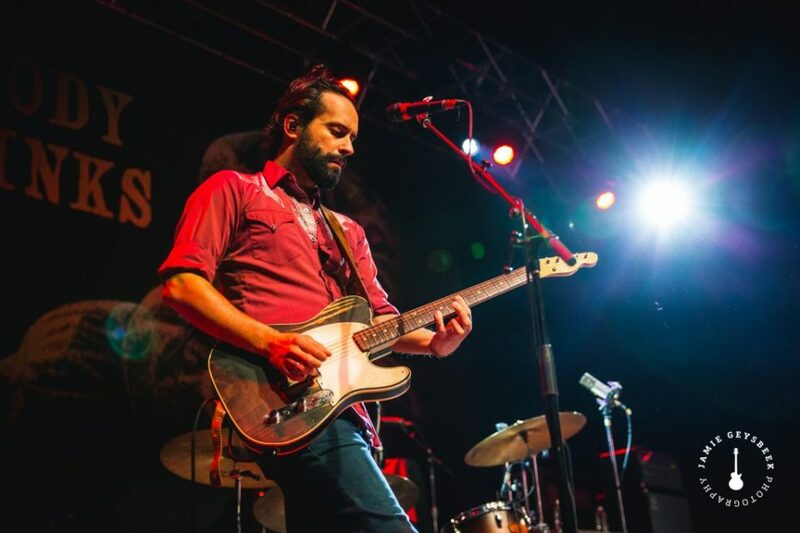 West Michigan acts found appreciative crowds, too, including Weezil Malone Band at SpeakEZ Lounge on Wednesday, Dacia Bridges Project at Bell’s Brewery in Kalamazoo on Thursday and The Hill People’s reunion show at One Trick Pony on Saturday. 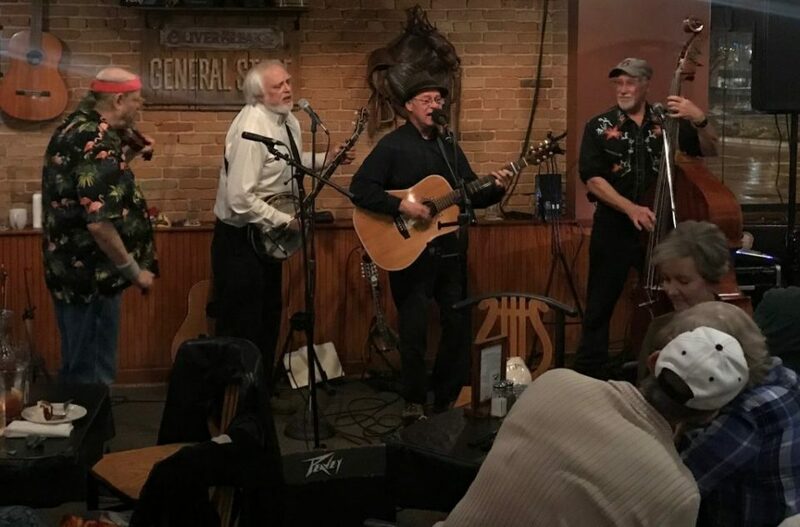 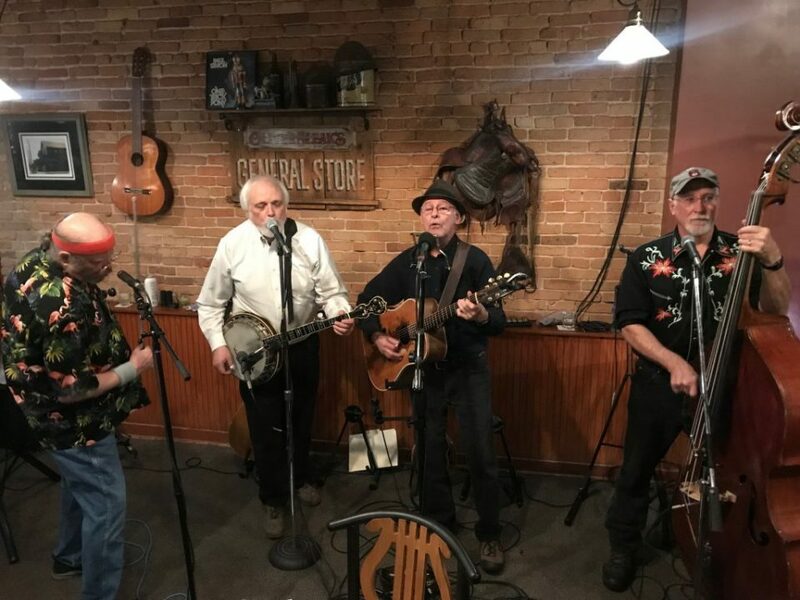 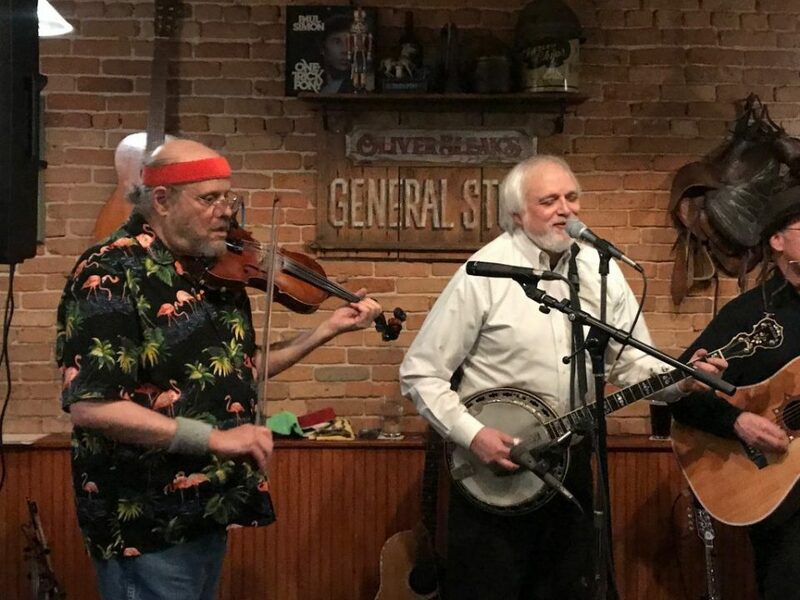 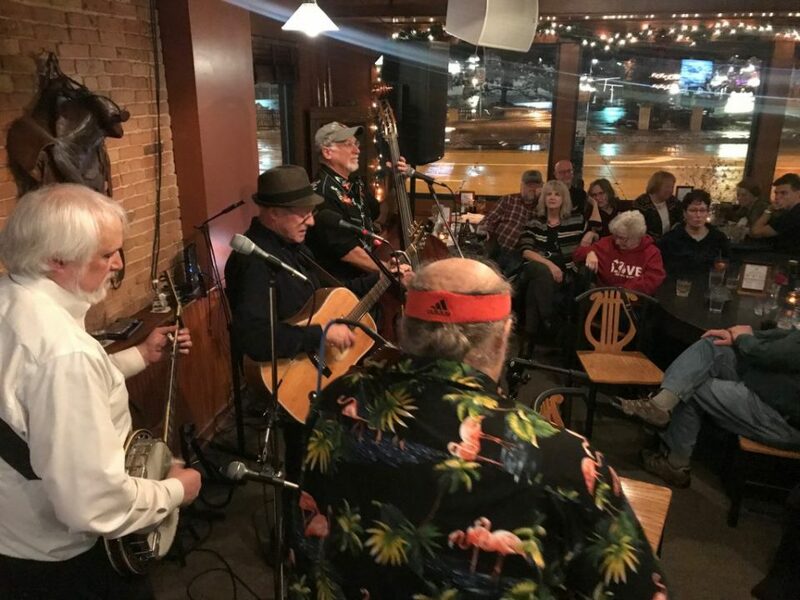 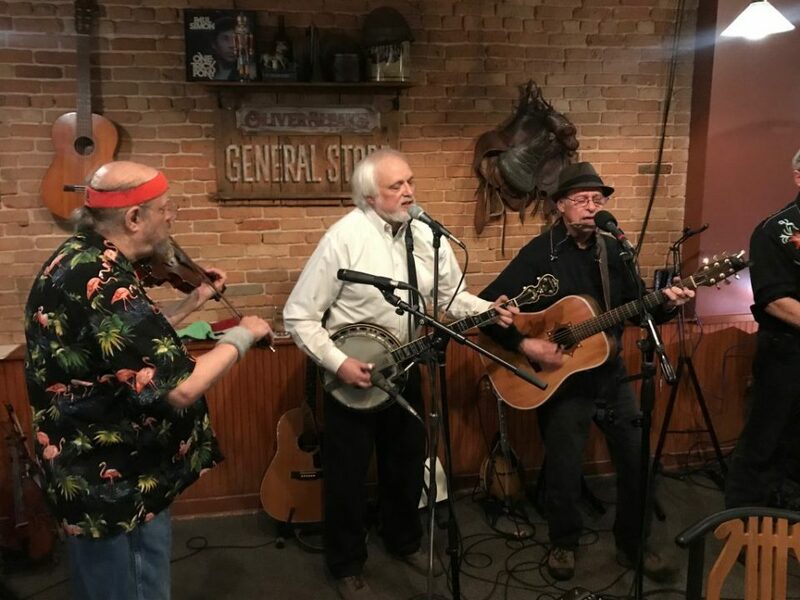 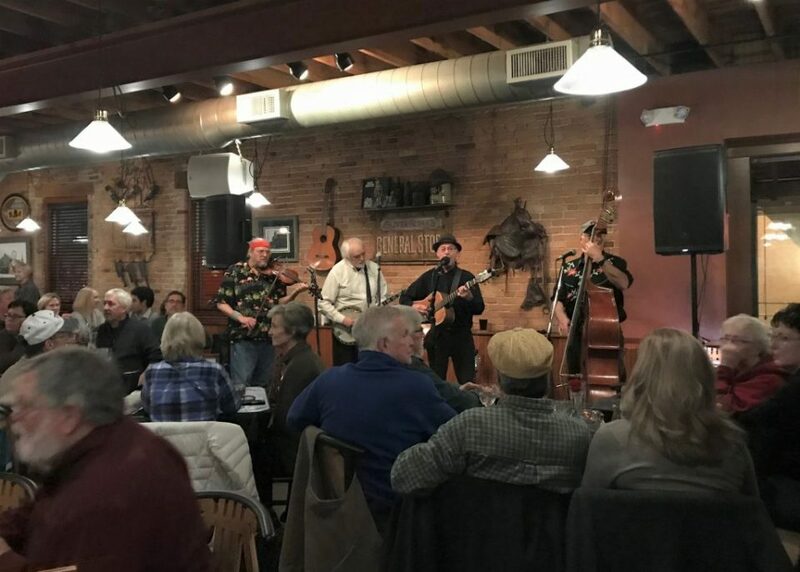 A bit farther afield, Wisconsin’s Horseshoes and Hand Grenades riled up a big audience at The Livery in Benton Harbor on Saturday. 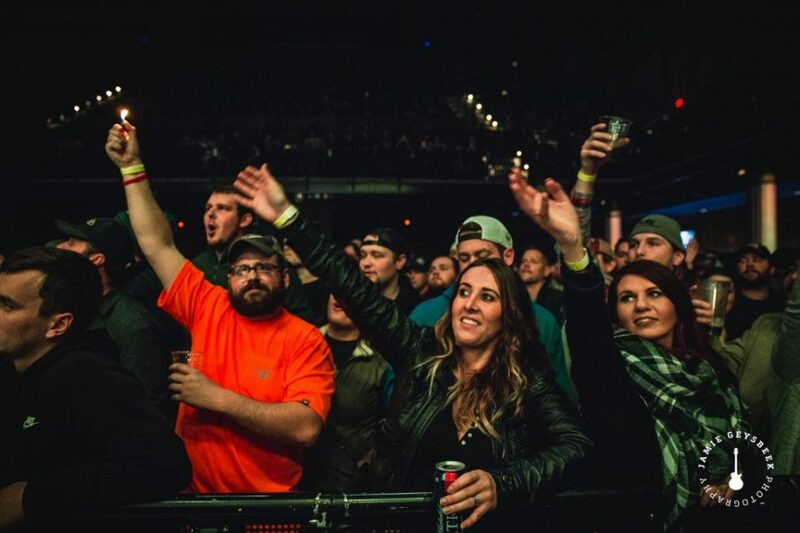 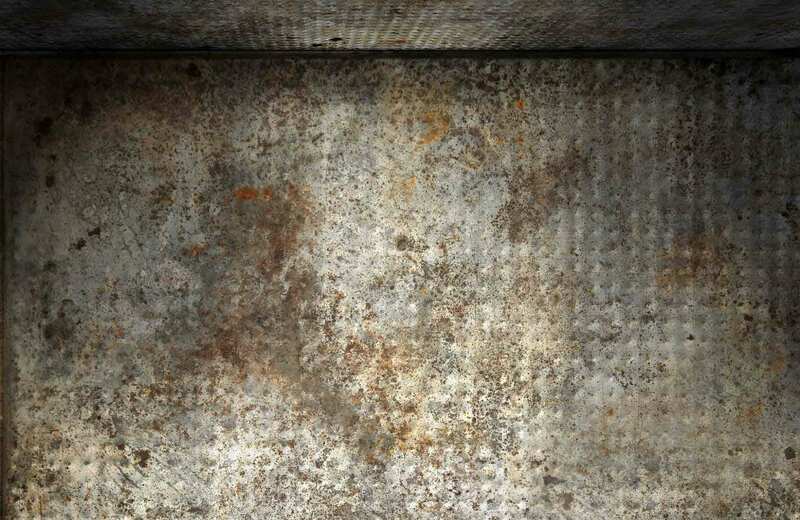 Browse the images and videos below.